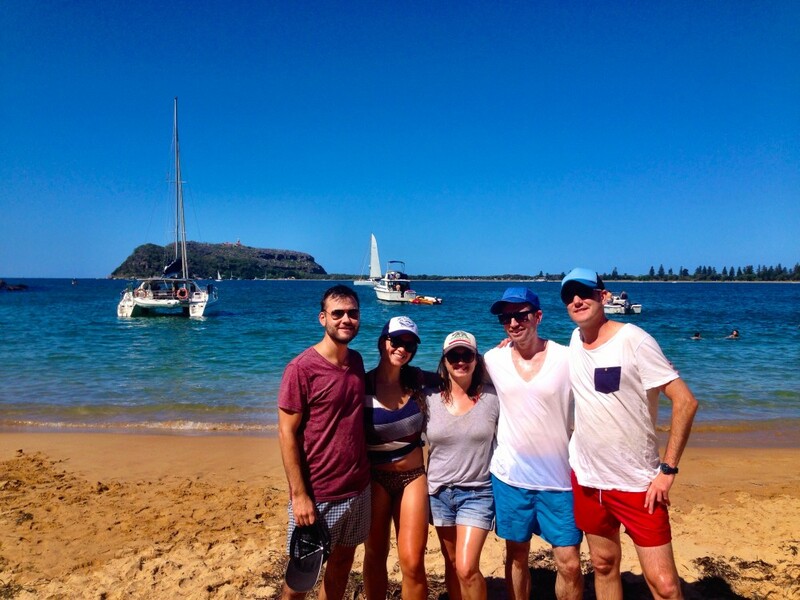 This was an absolute postcard of a day and we had a few different groups who combined and we enjoyed a really fun day together. 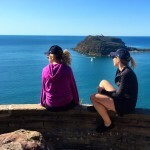 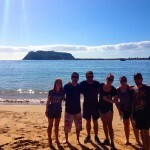 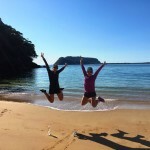 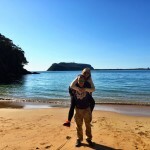 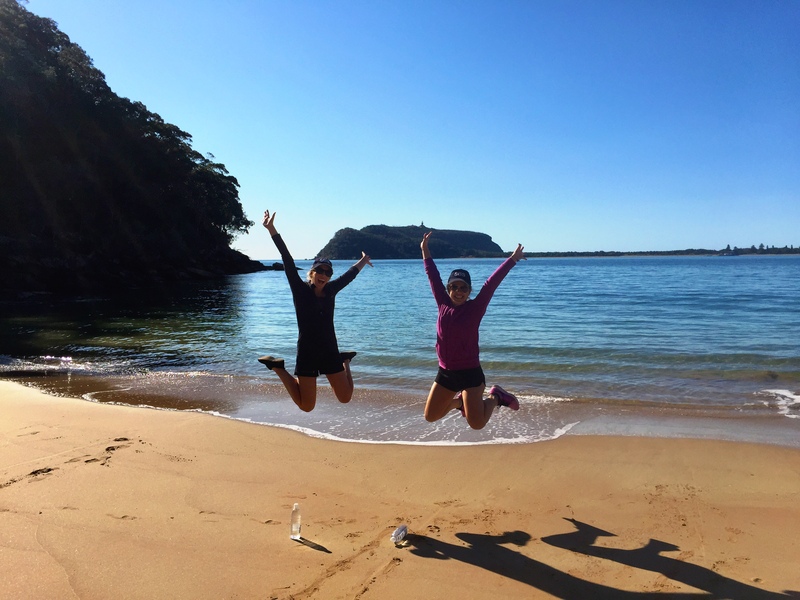 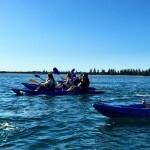 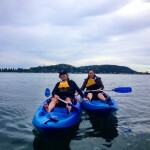 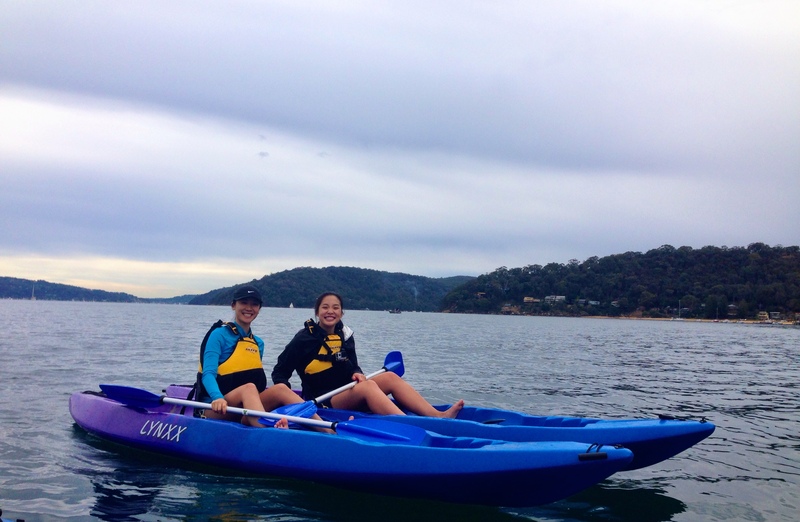 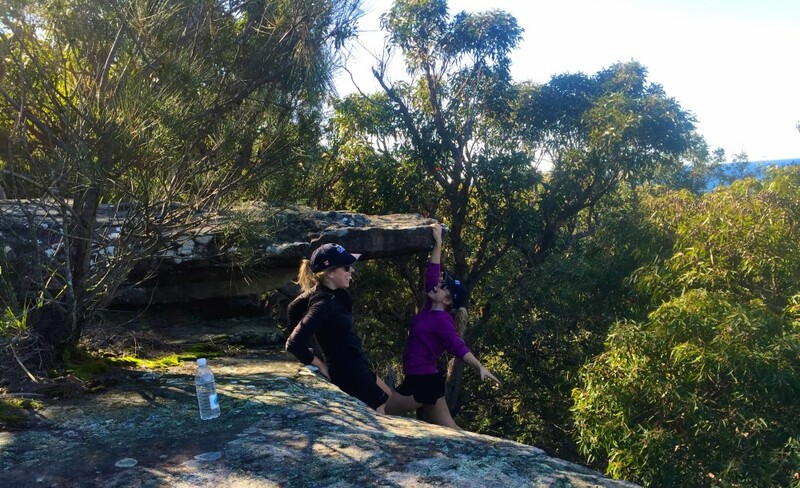 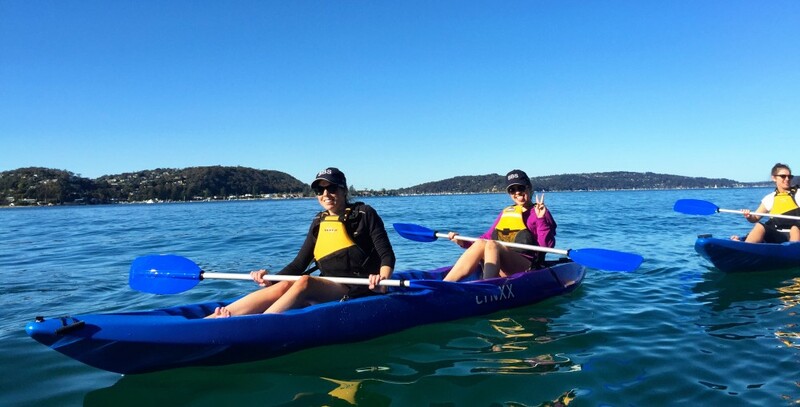 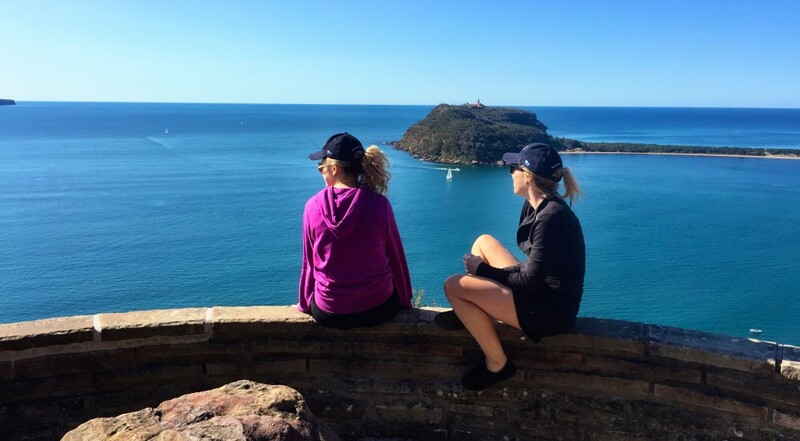 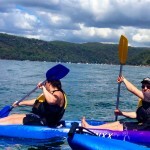 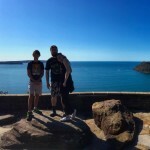 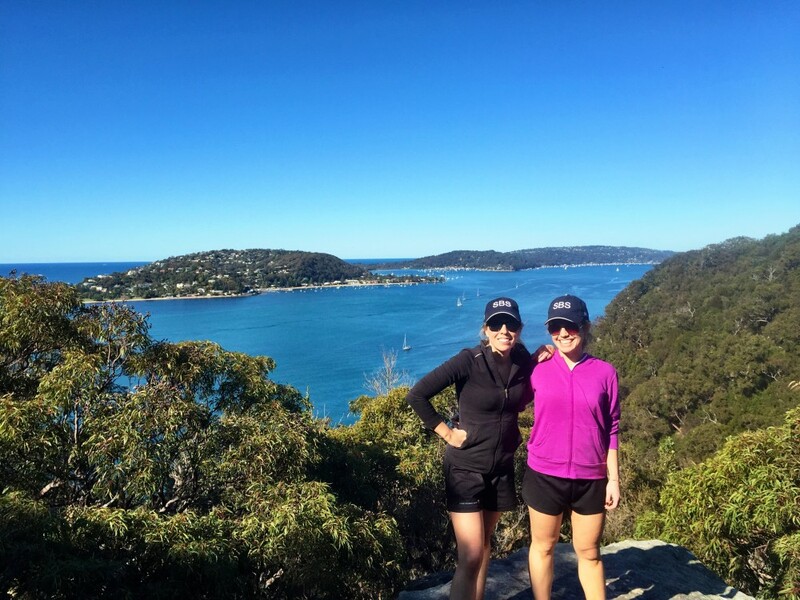 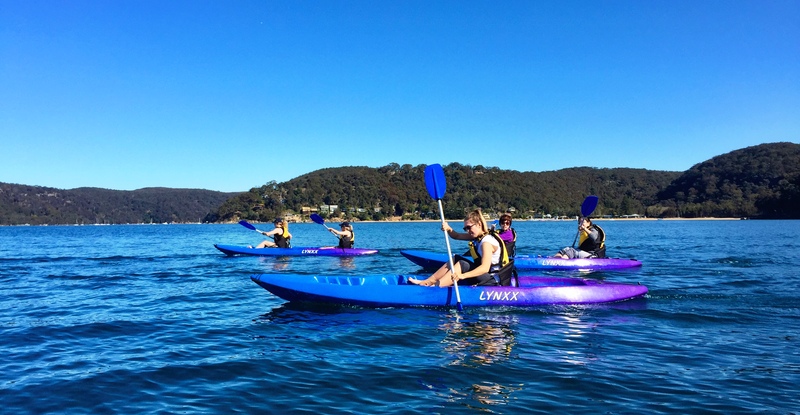 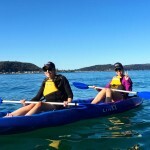 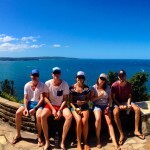 There were a couple of girls who had decided to embark on a year of adventure and were doing all sorts of exciting things like skydiving, going on road trips, bungee jumping and going for a paddle with Pittwater Kayak Tours was one on the bucket list. 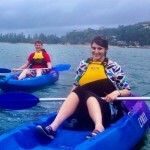 My flat mate Hannah came along and loved it. 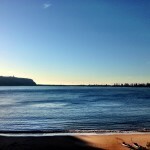 A few well earned beers in the sun at the Collaroy Hotel afterwards went down very well. 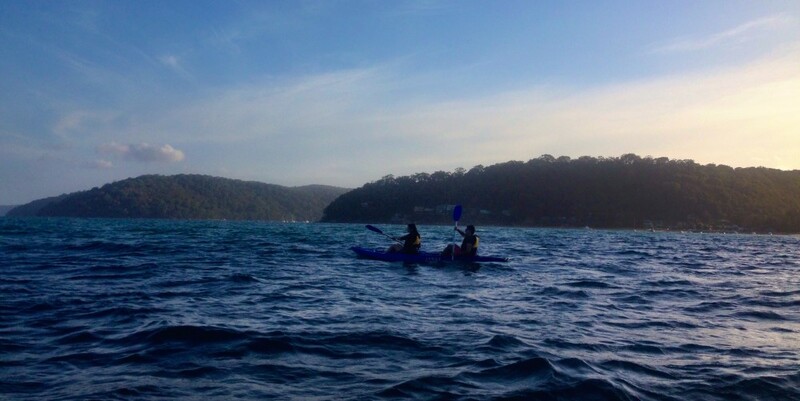 Even though it gets a little chilly in Winter, it can make for some of the best days spent paddling on Sydney’s, Pittwater on the Northern Beaches. 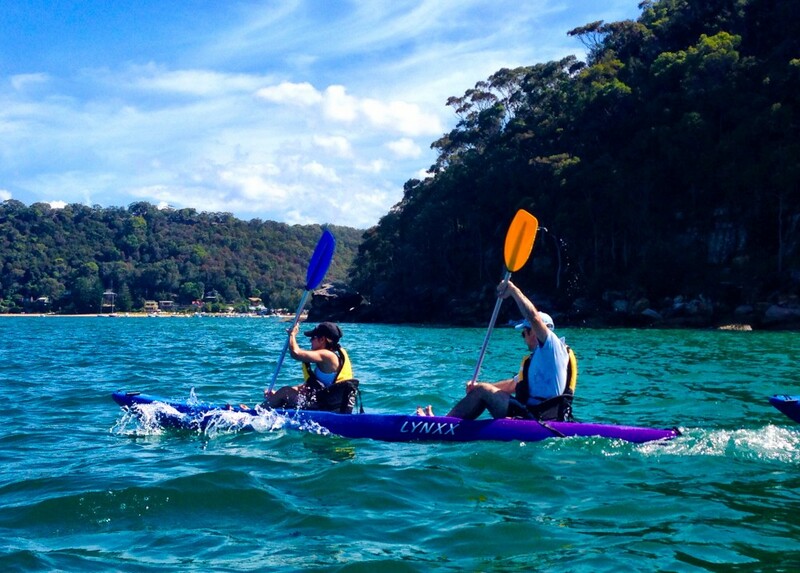 Blue skies, light winds and less crowds make for perfect paddling conditions. 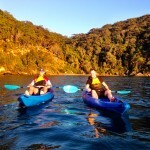 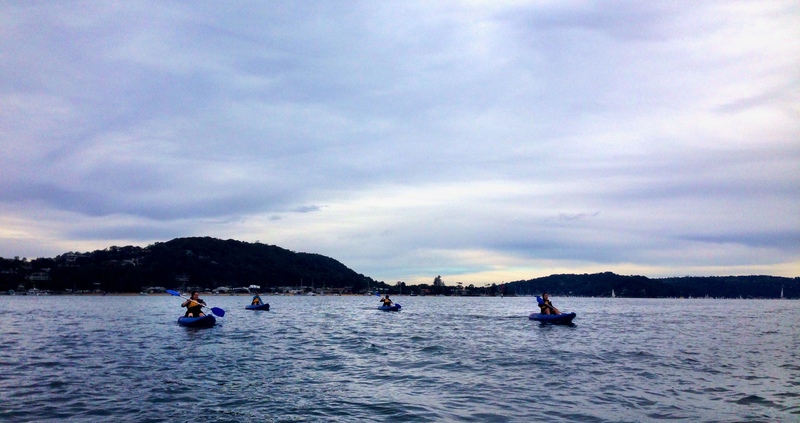 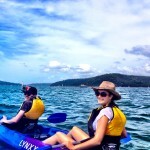 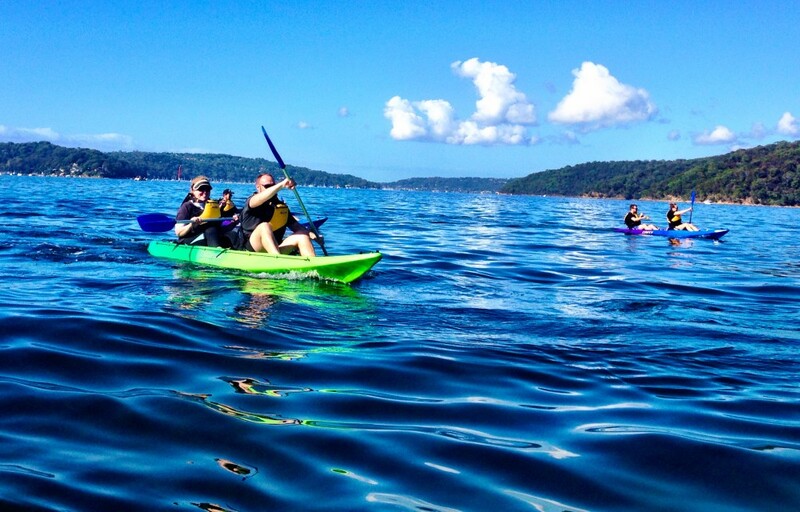 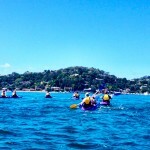 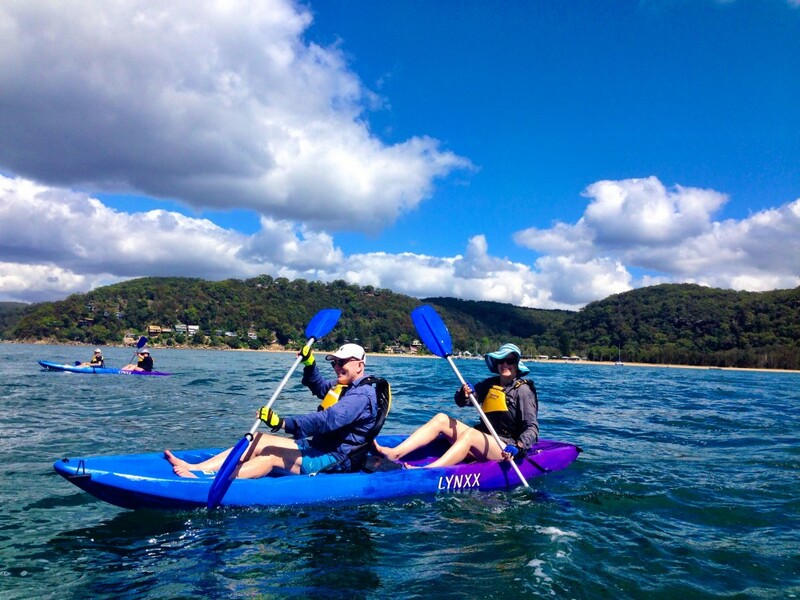 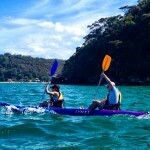 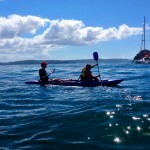 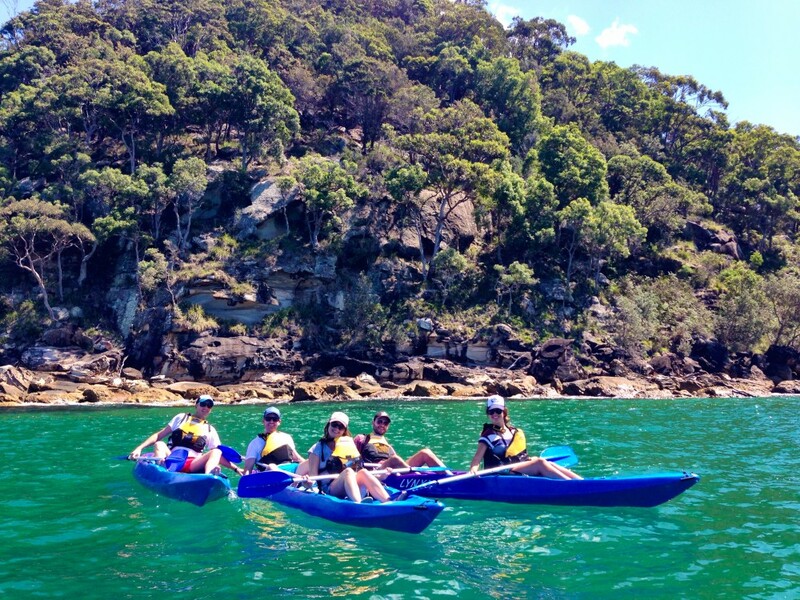 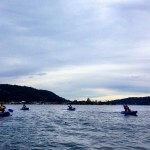 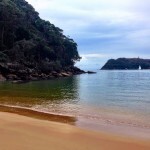 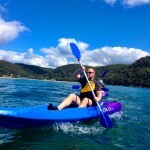 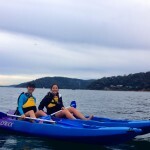 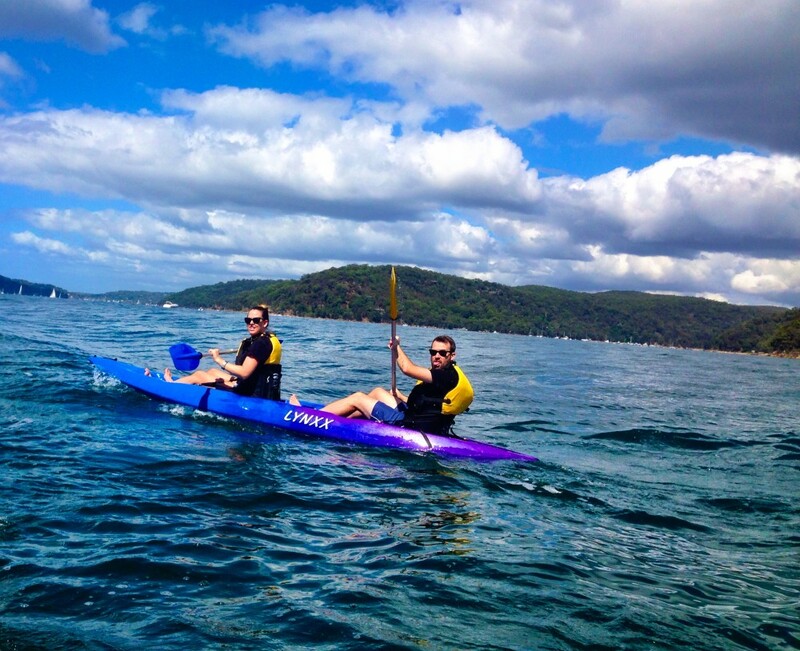 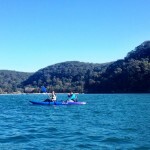 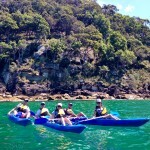 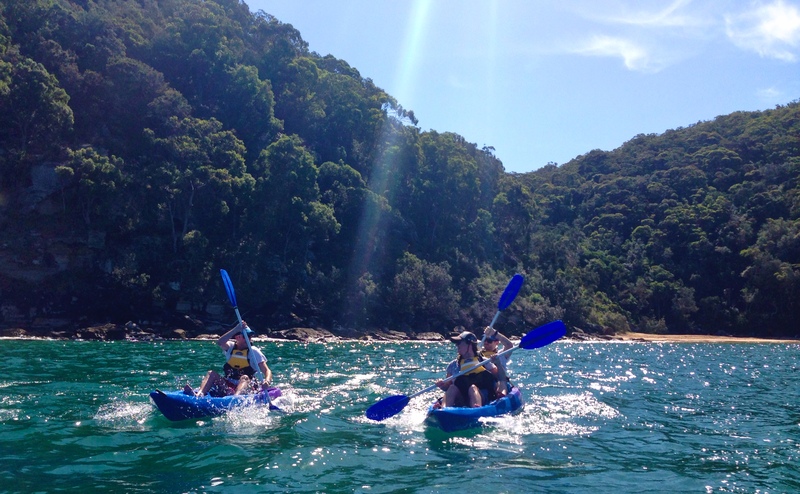 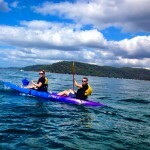 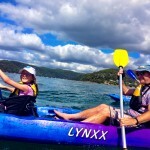 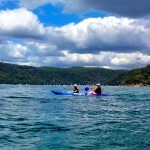 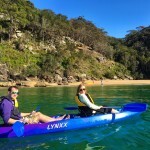 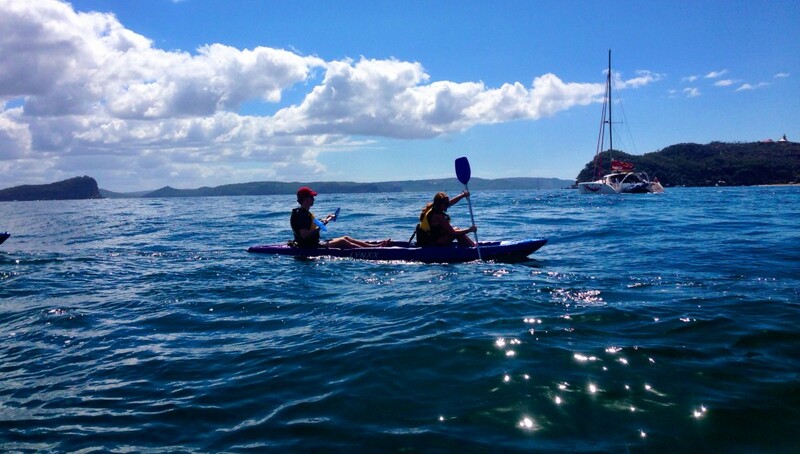 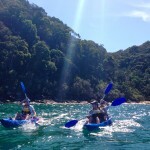 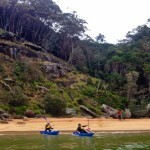 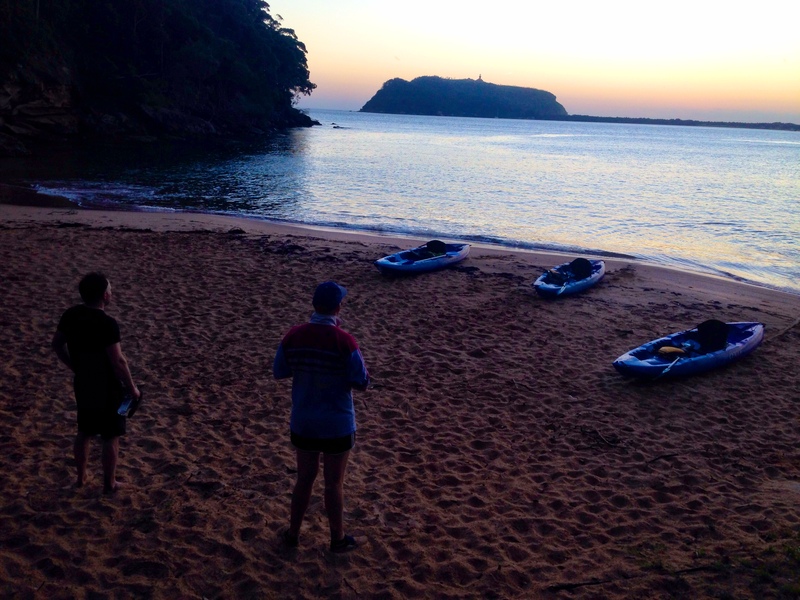 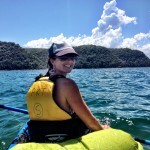 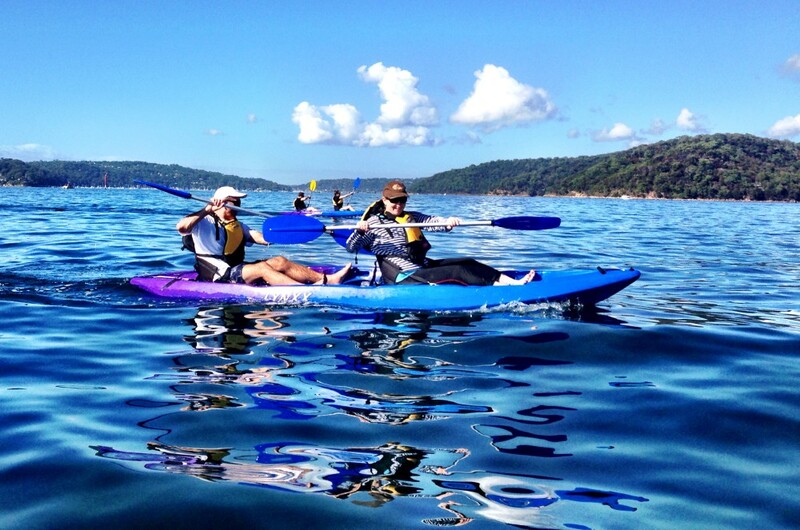 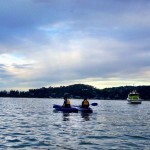 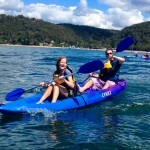 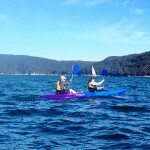 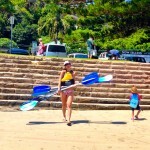 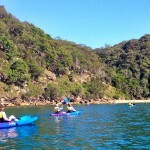 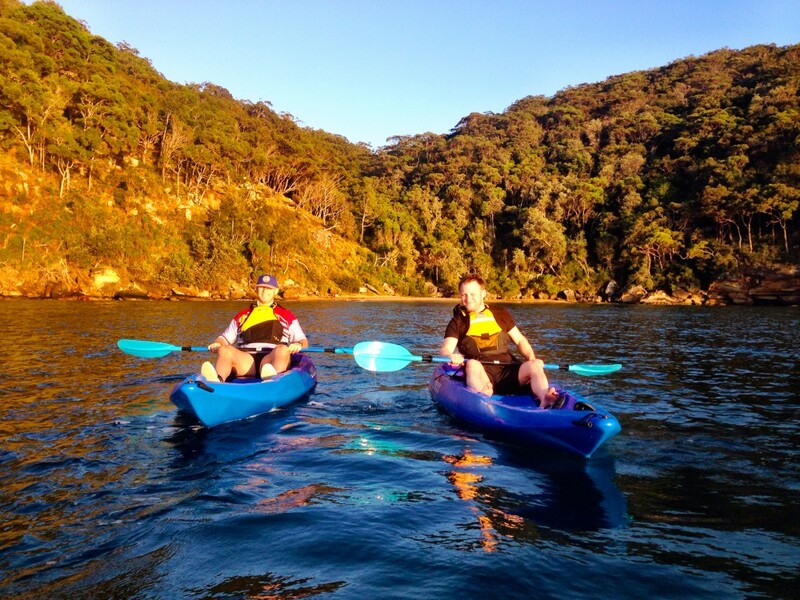 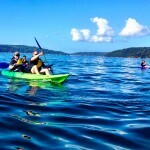 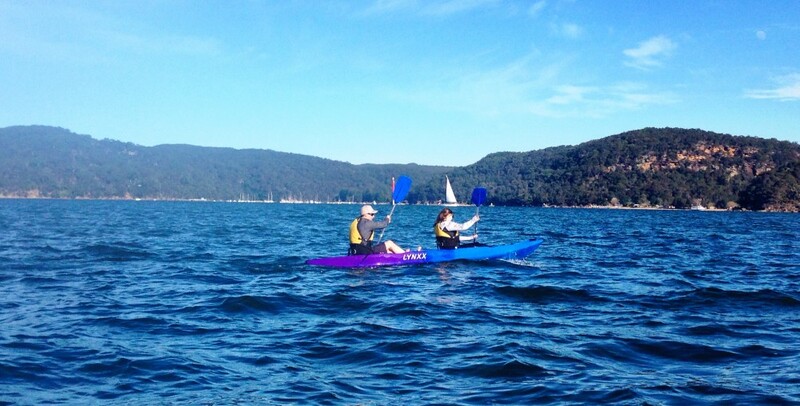 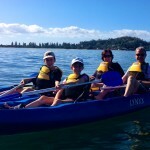 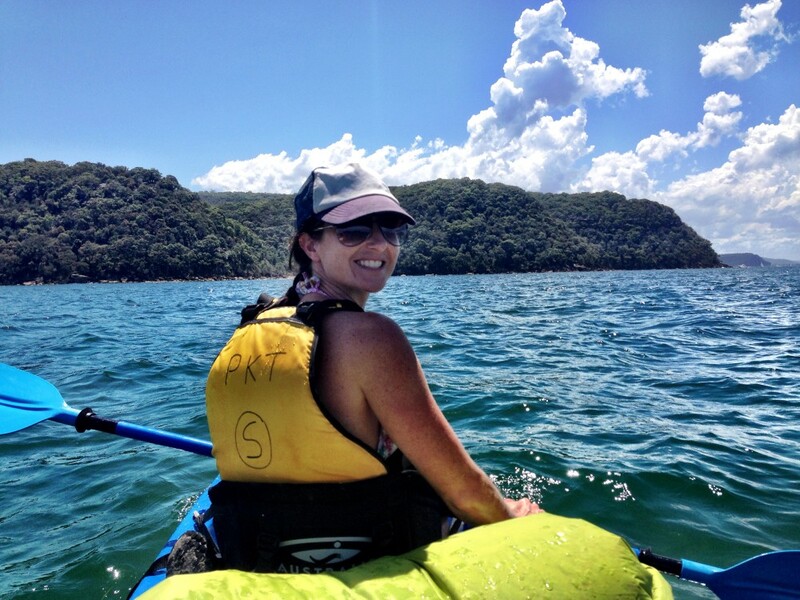 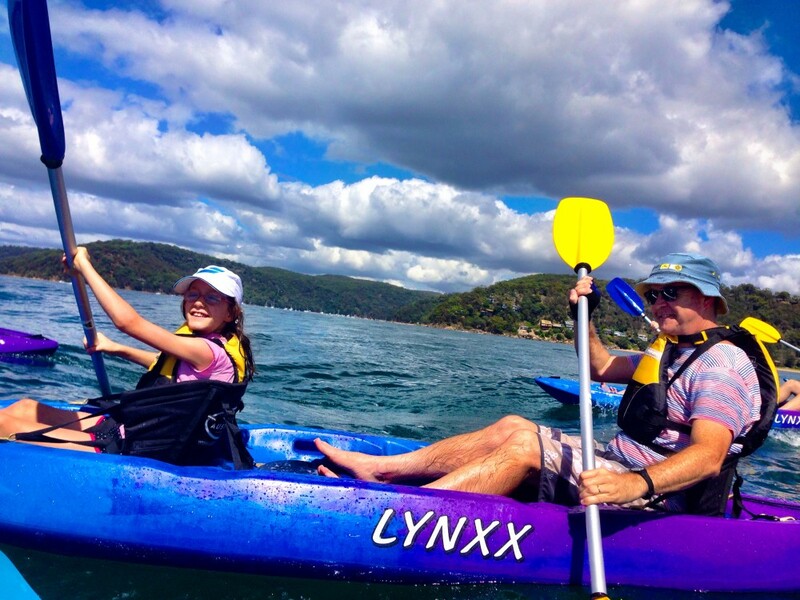 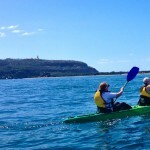 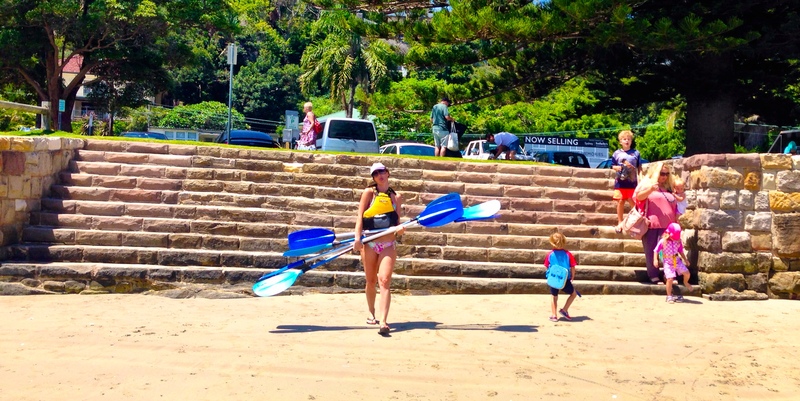 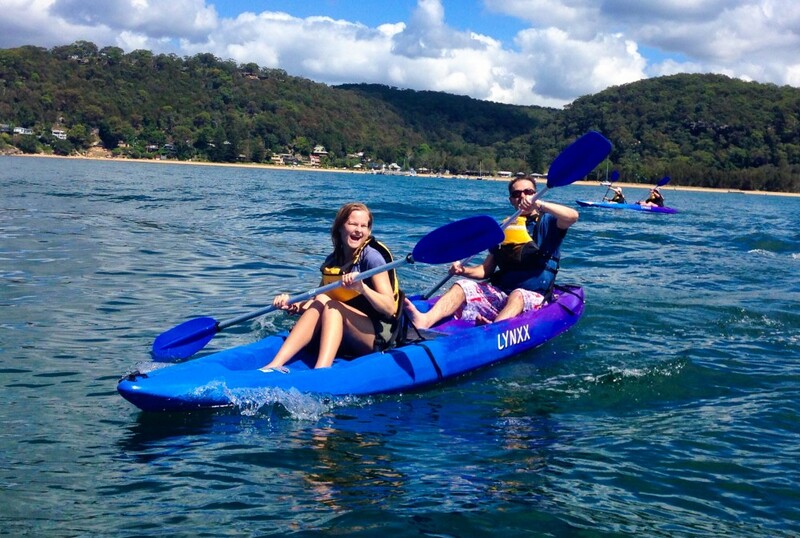 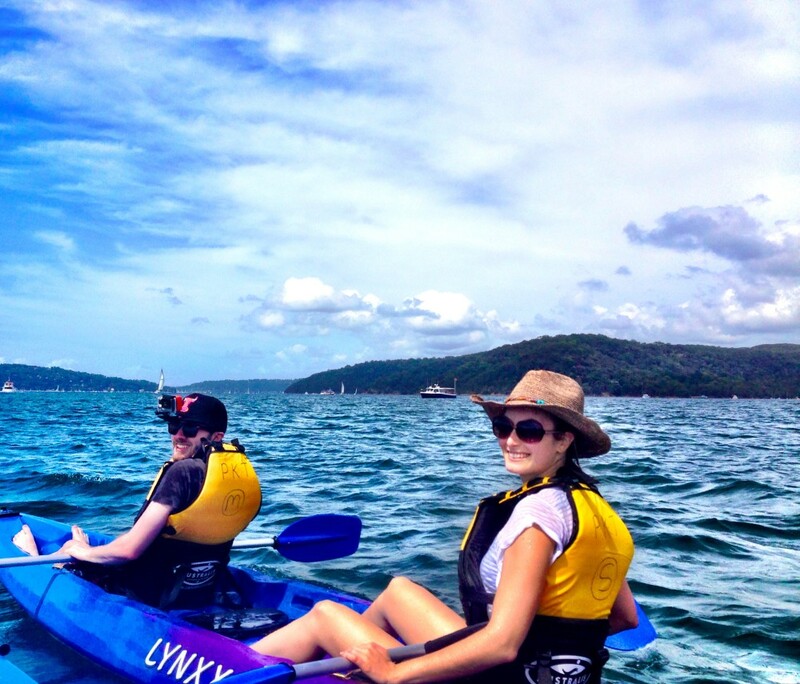 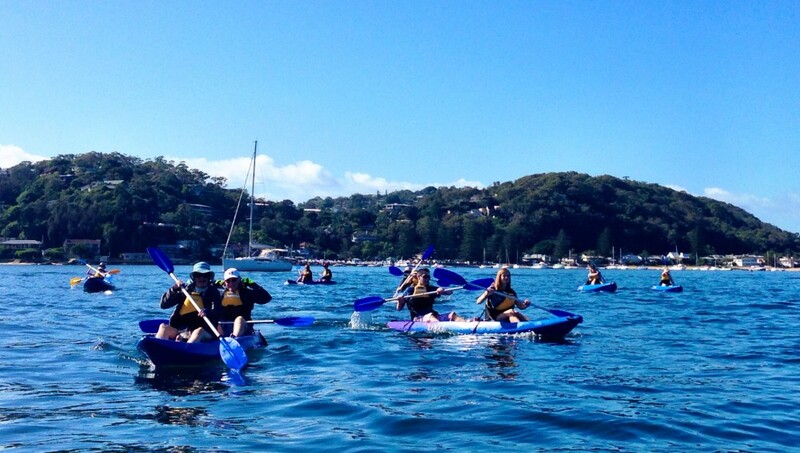 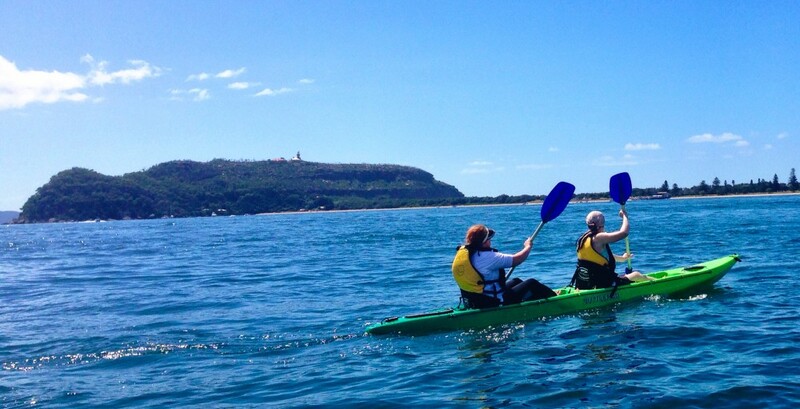 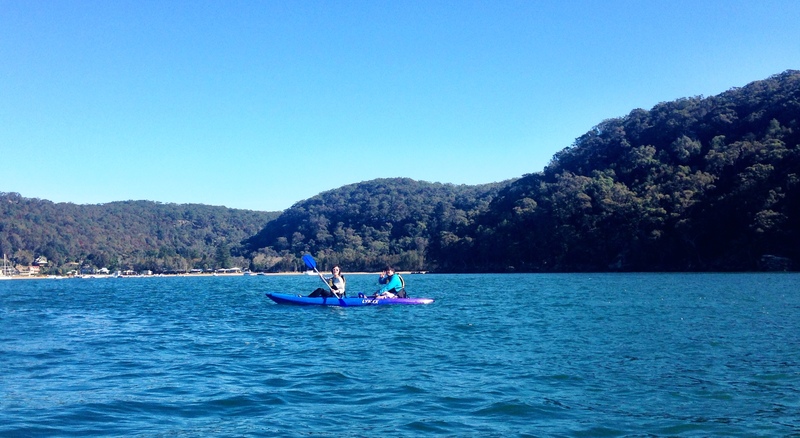 Come for a paddle with Pittwater Kayak Tours. 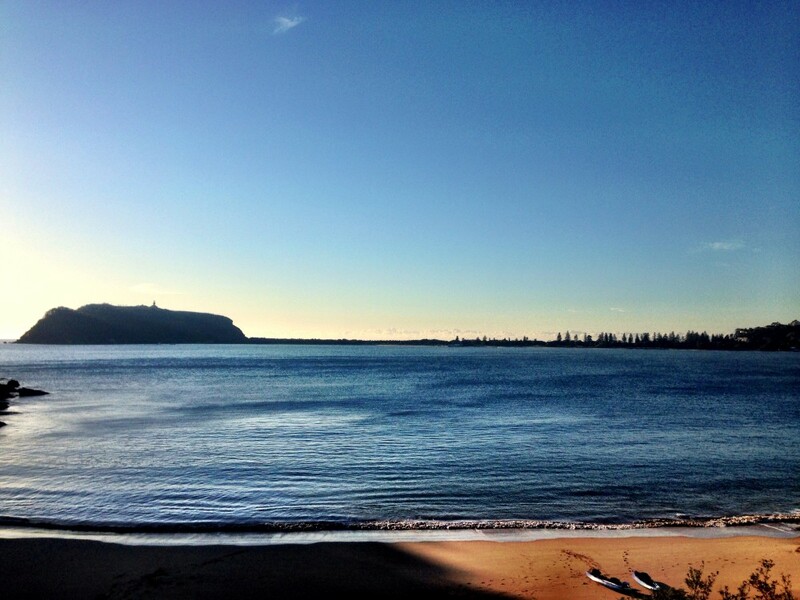 We’re open all year round. 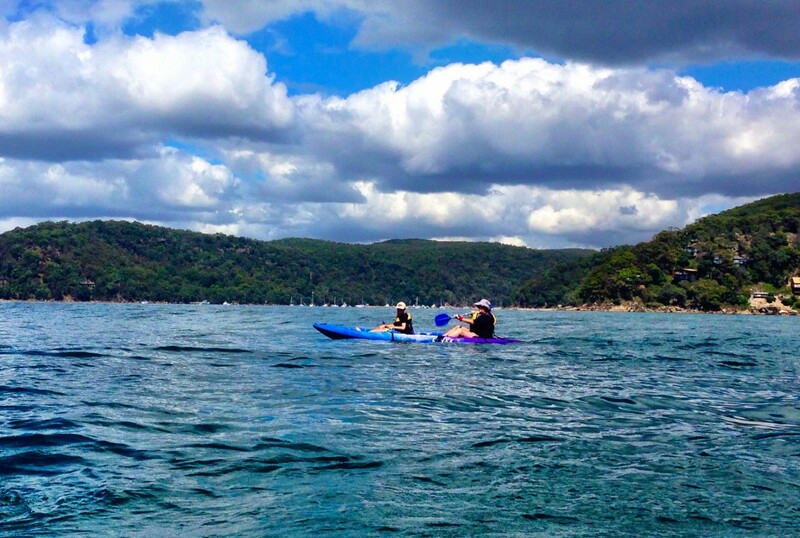 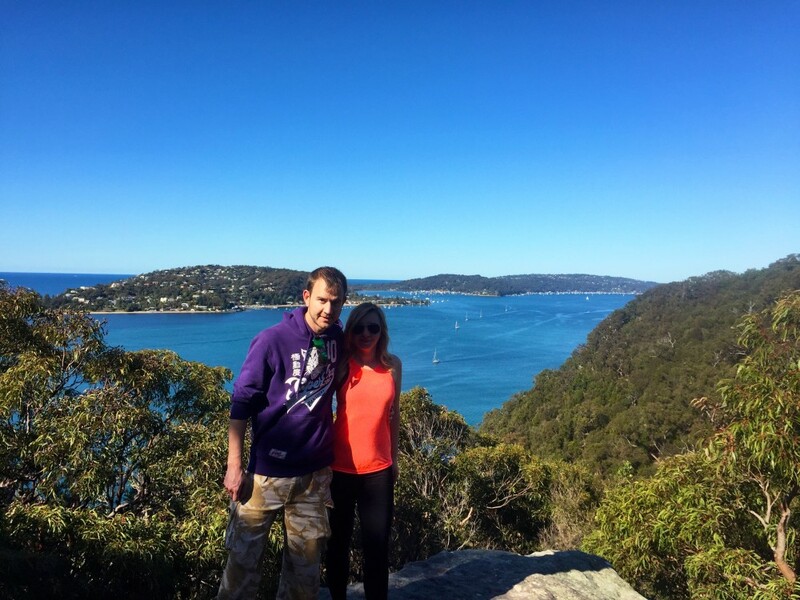 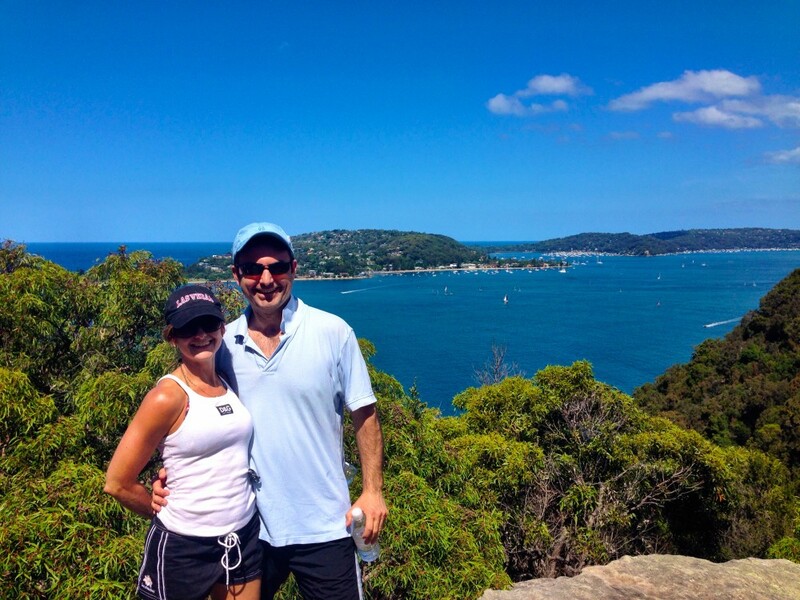 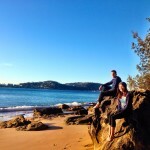 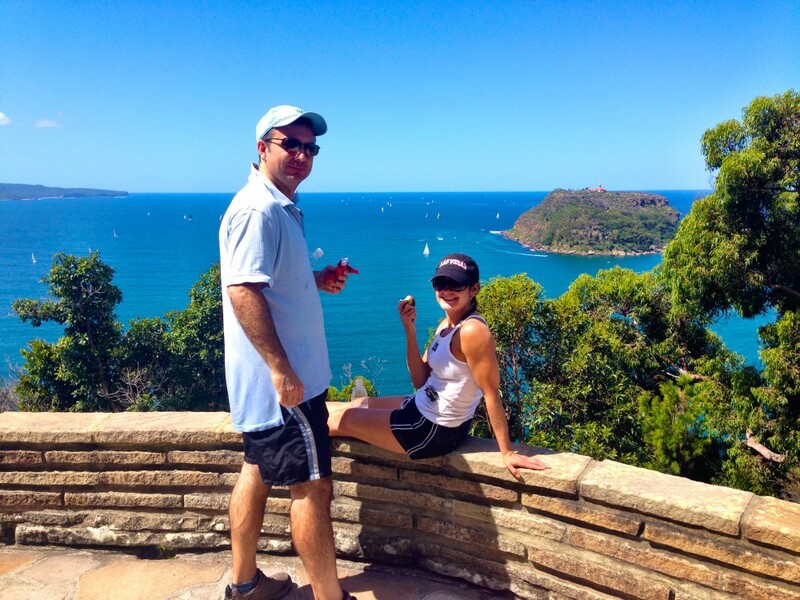 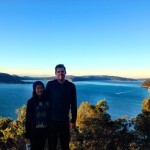 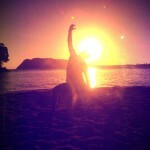 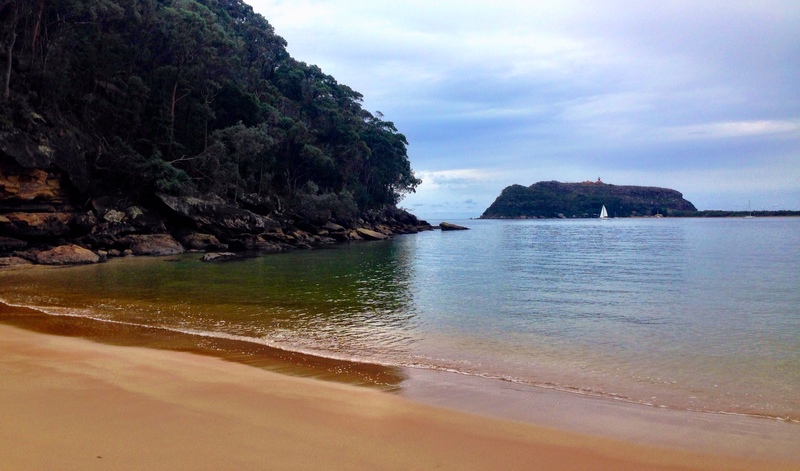 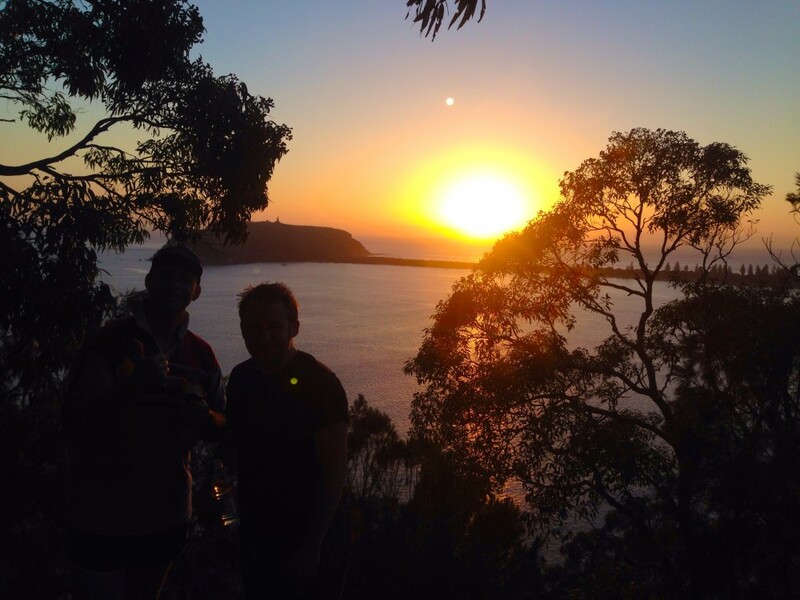 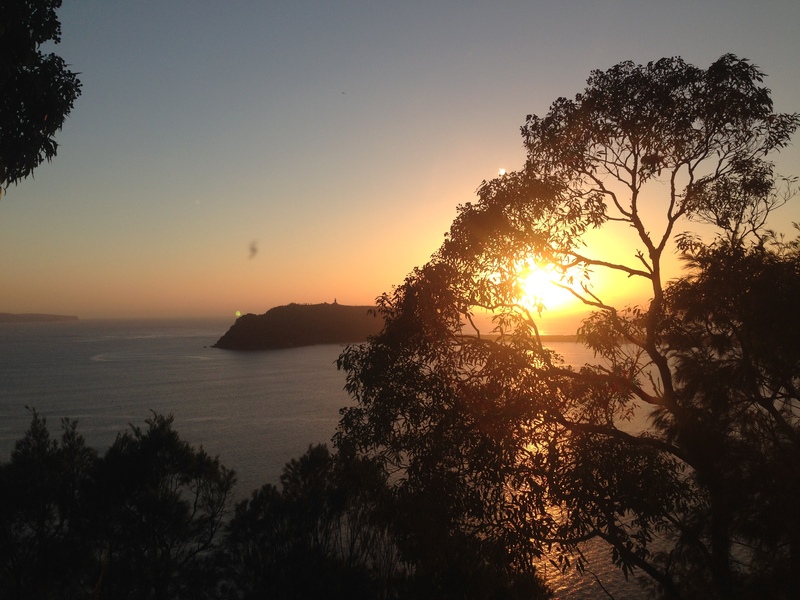 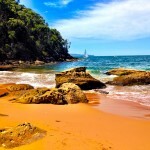 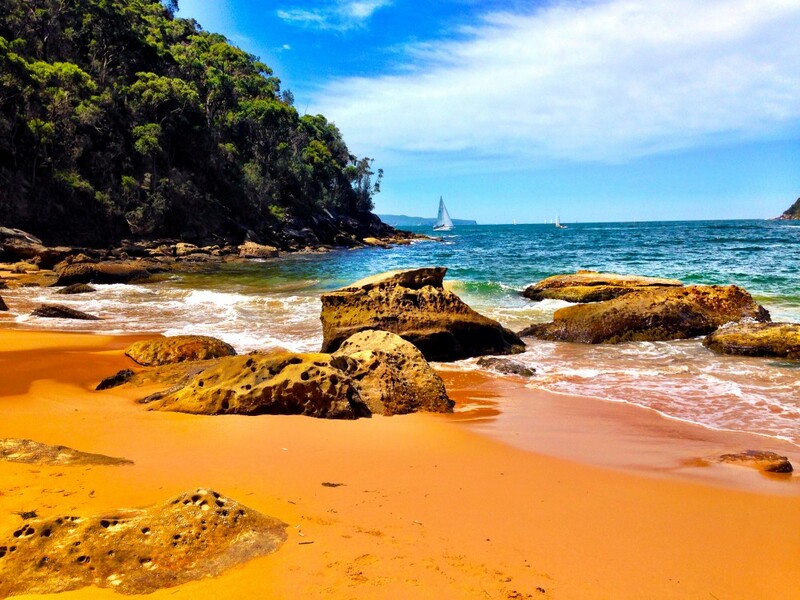 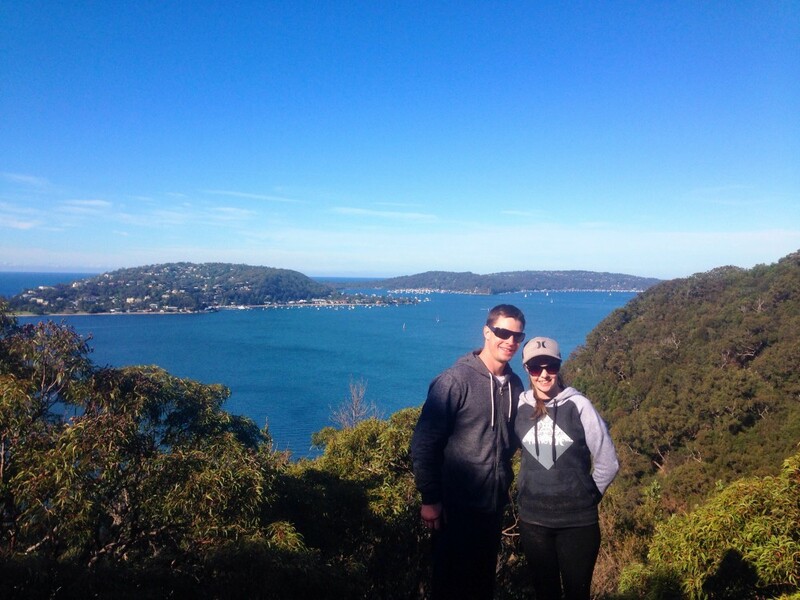 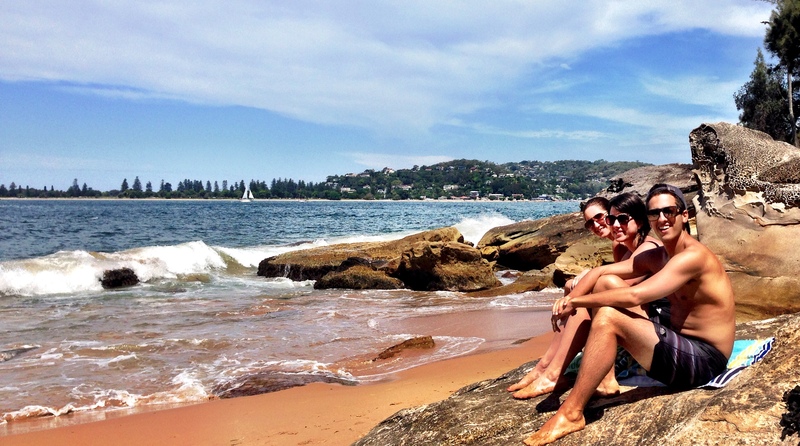 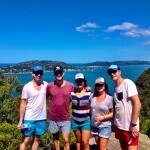 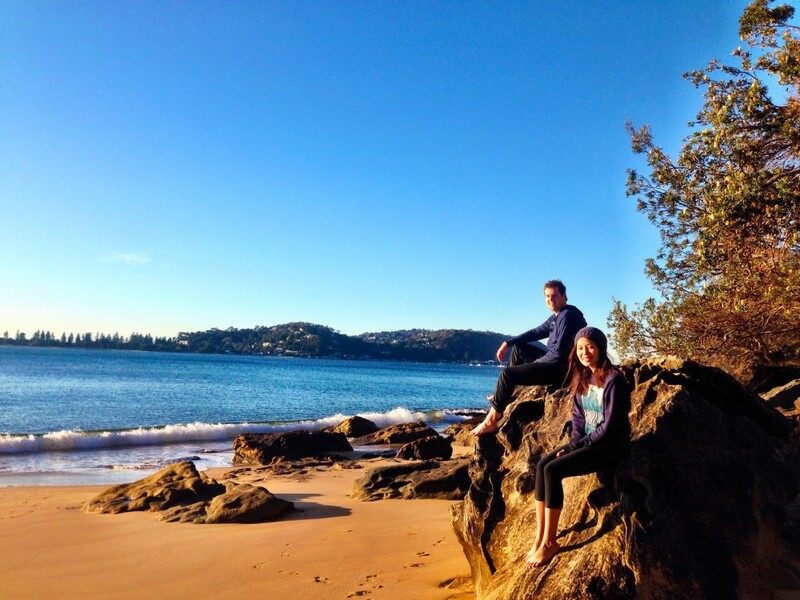 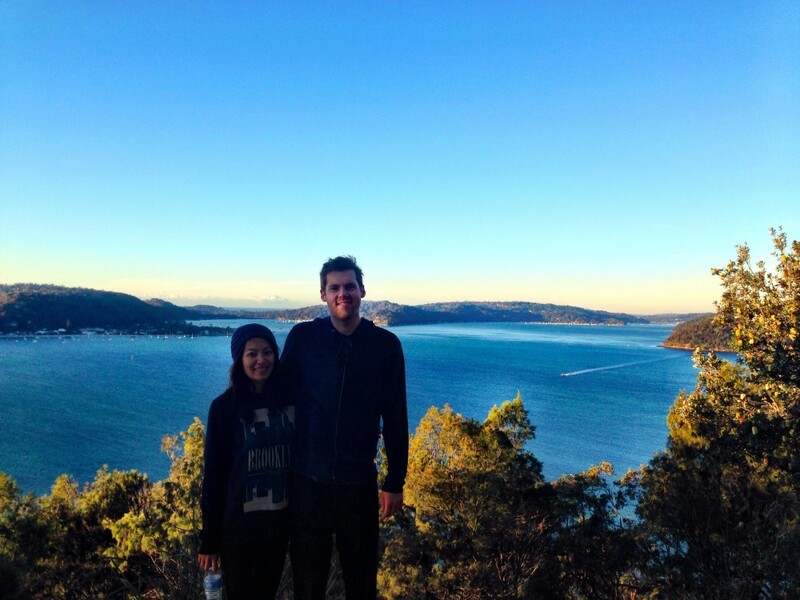 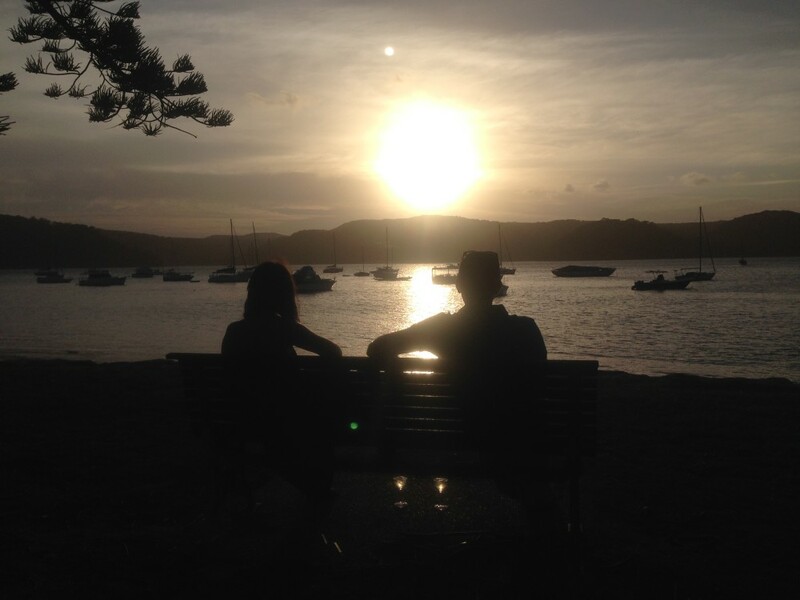 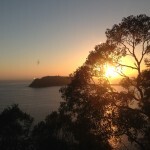 Pittwater, is truly one of Sydney’s absolute gems in terms of natural beauty all year round. 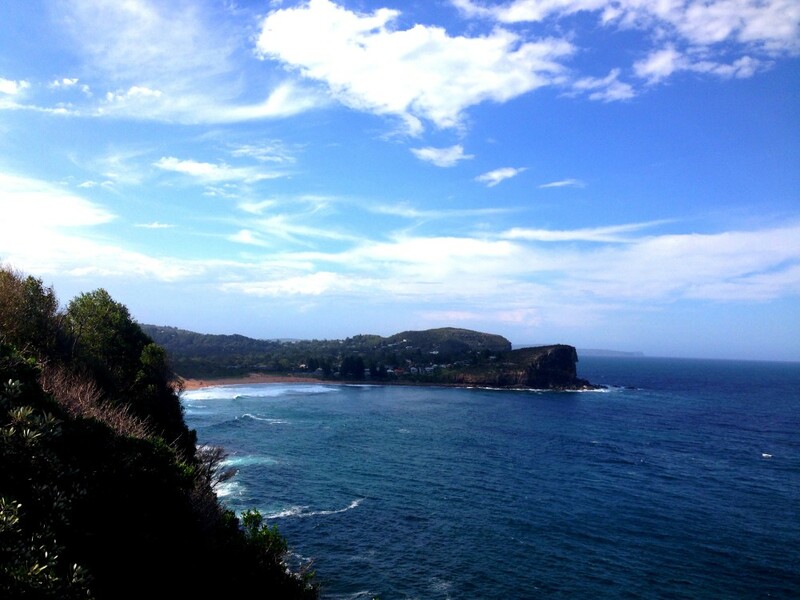 In Summer it turns a beautiful turquoise blue. 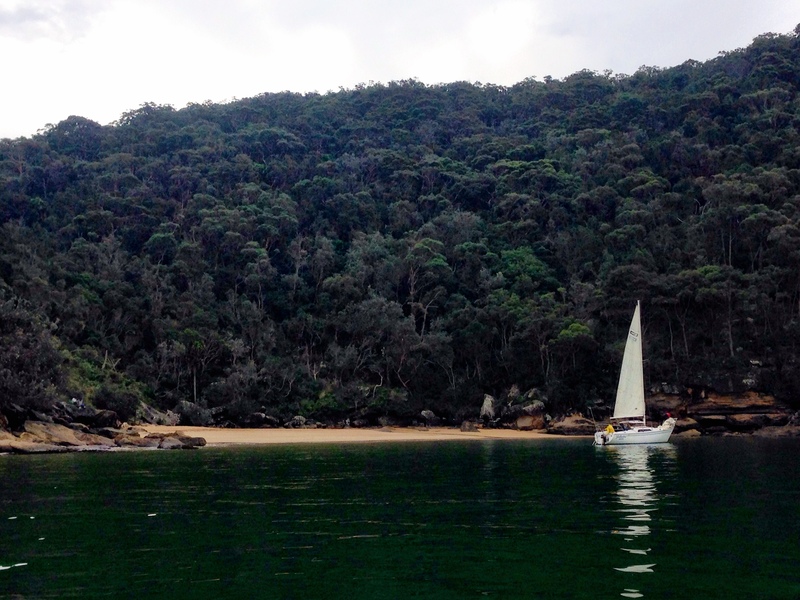 In Winter it ranges from dark to light green. 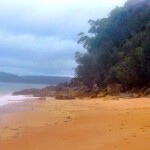 It has so many little secluded beaches that are clean, calm and have no crowds. 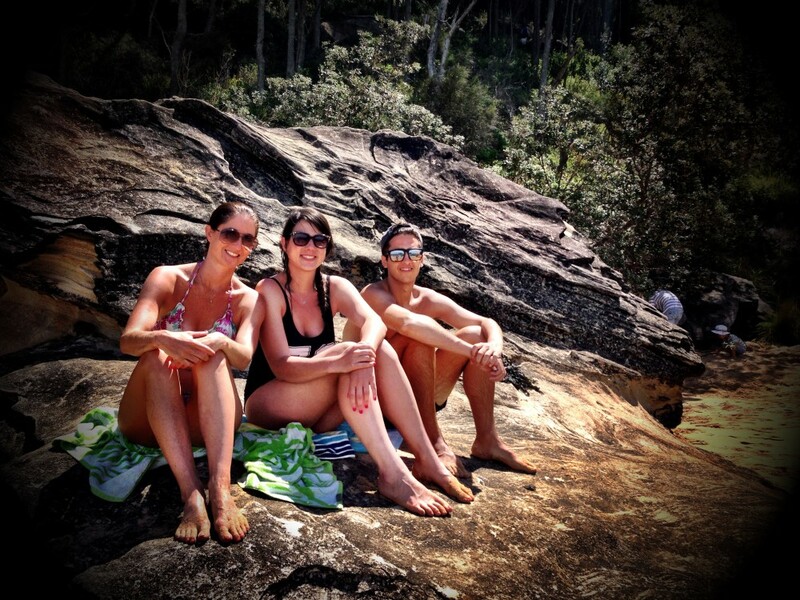 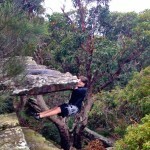 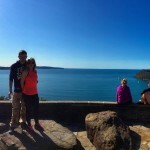 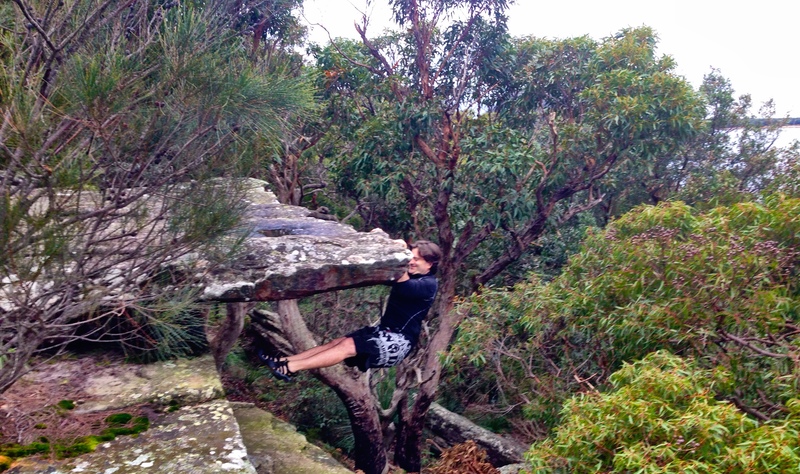 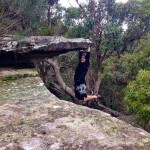 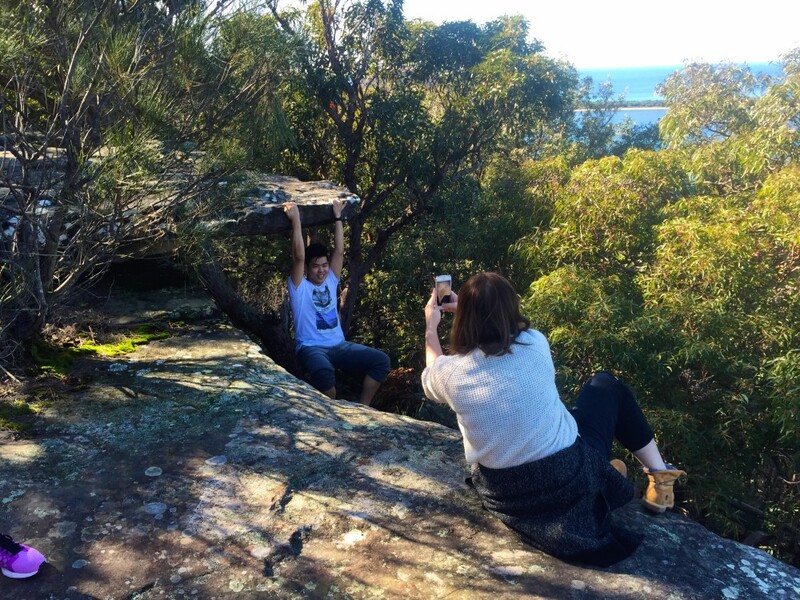 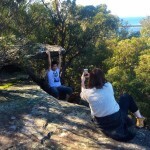 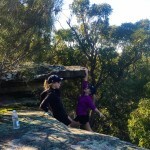 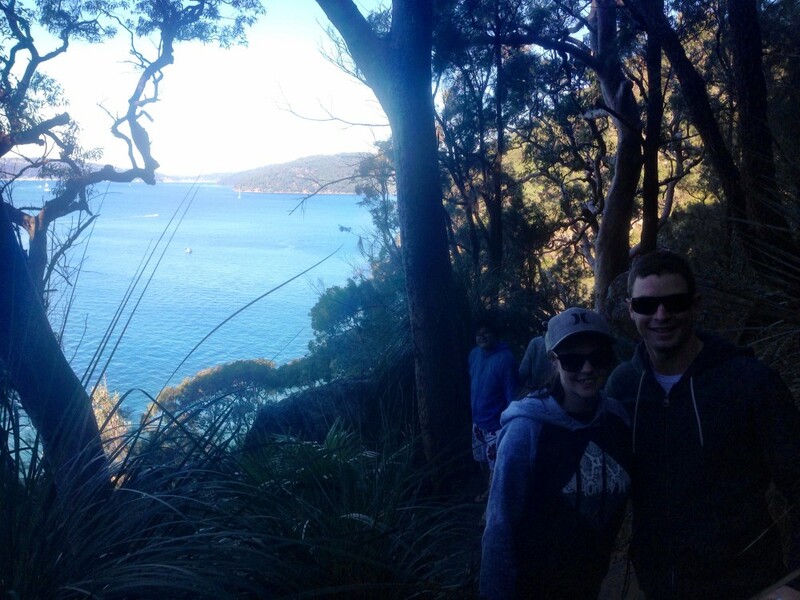 It is surrounded on the West by Ku Ring Gai Chase National Park, with steep rocky cliffs and Australian Gum Trees. 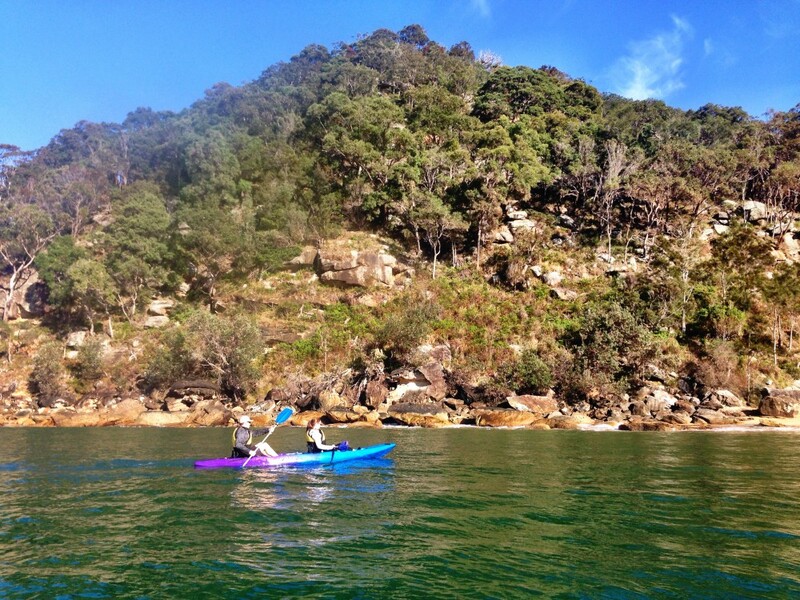 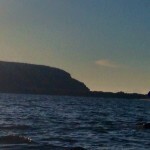 We spent a magical day paddling on Pittwater in the middle of Winter and then a couple of the clients did a bit of rock climbing off one of the ledges. 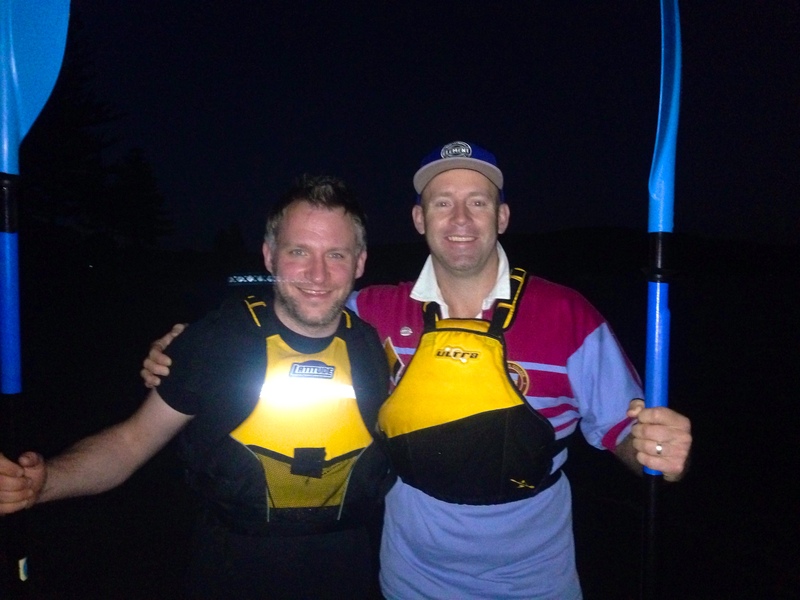 A good mate of mine had his brother-in-law Joe, out visiting from England for a couple of weeks. 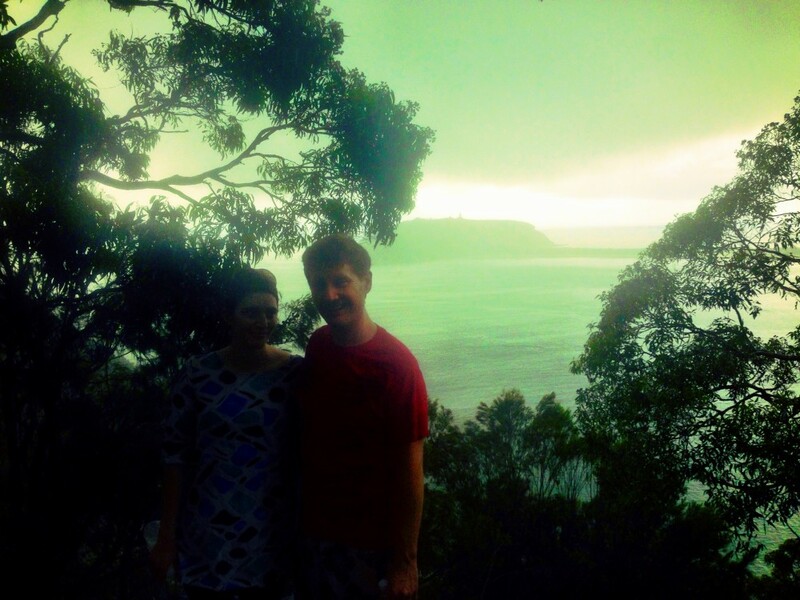 They got up early and we were getting ready in the dark. 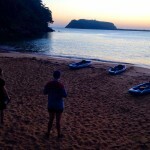 We set off at first light, so we could be at the top of 3rd Head for the sunrise. 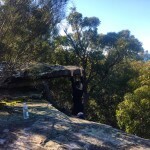 We also explored the Aboriginal Cave near the top of the Resolute Track. We then went down and did a bit of Yoga on the beach. 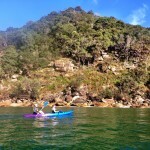 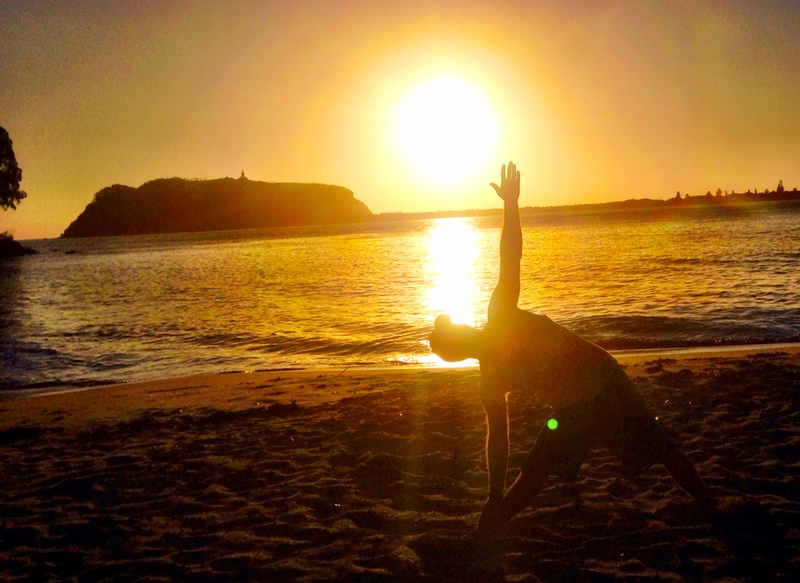 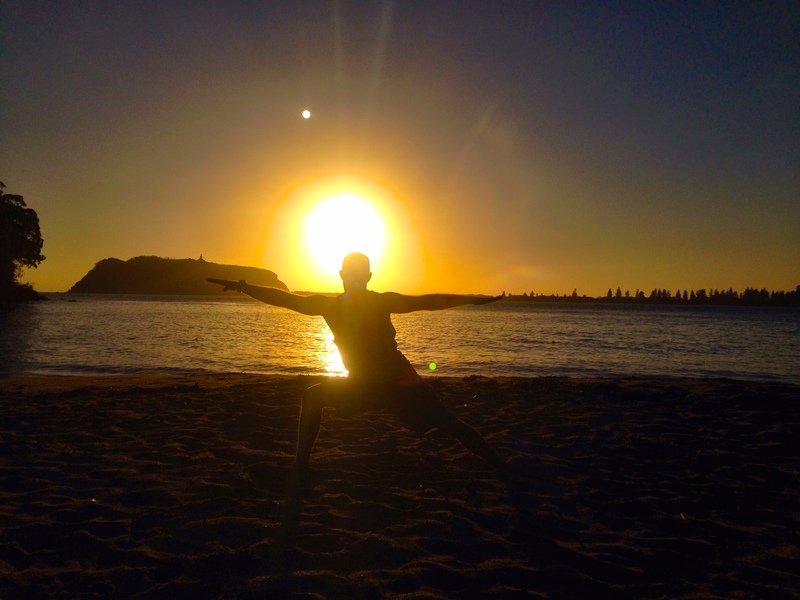 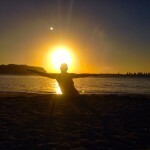 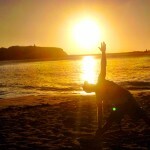 I’m hoping to introduce a sunrise kayak with a yoga session led by a qualified yoga instructor to our list of tours soon. 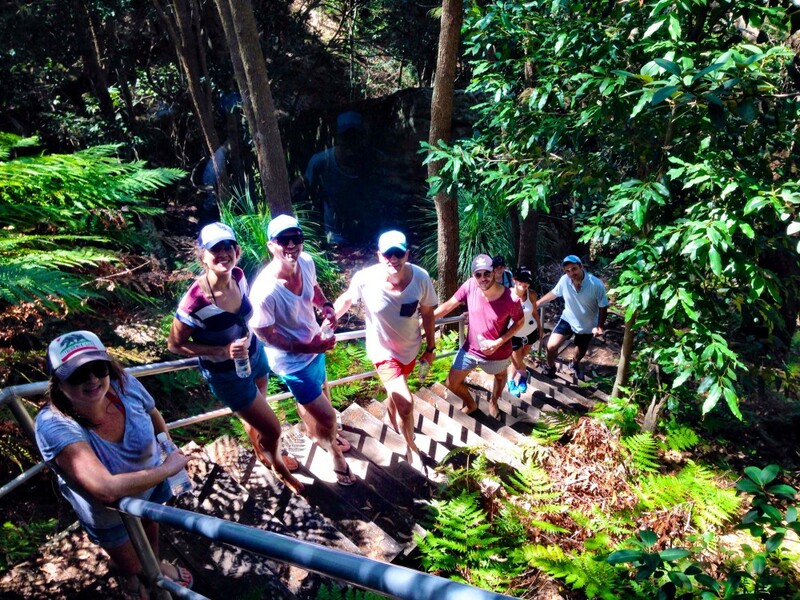 National Parks week ran from the 7th to the 15th March, 2015 this year. 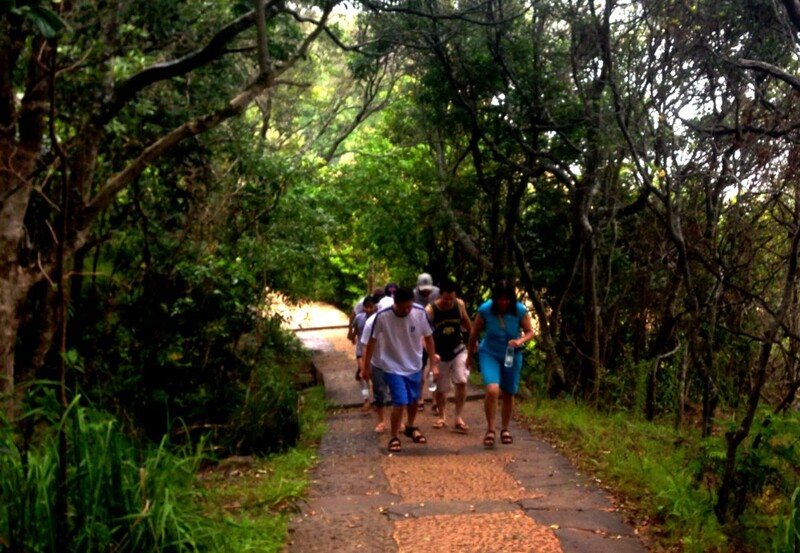 To help celebrate National Parks week, PKT lowered its prices to just $40pp. 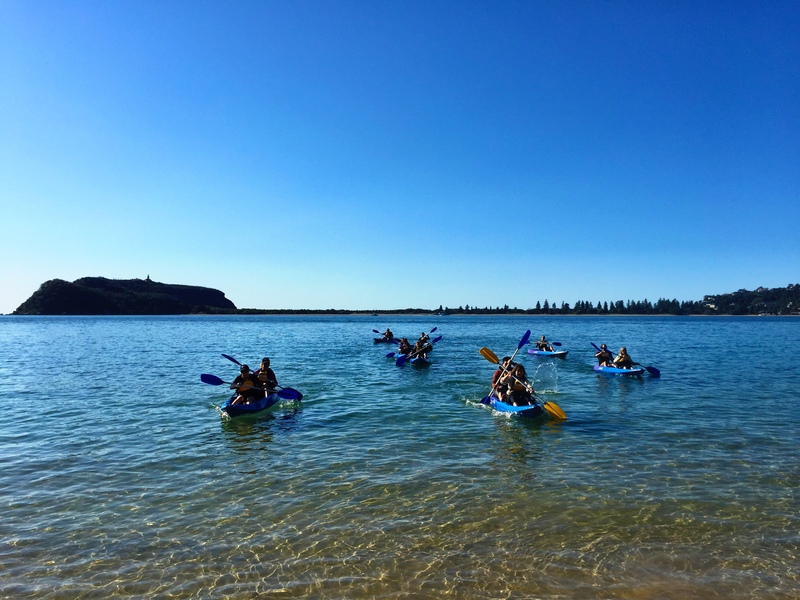 Loads of different groups from all walks of life came together to enjoy evereything that Australia’s National Parks have to offer. 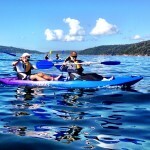 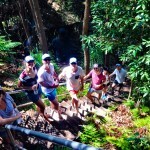 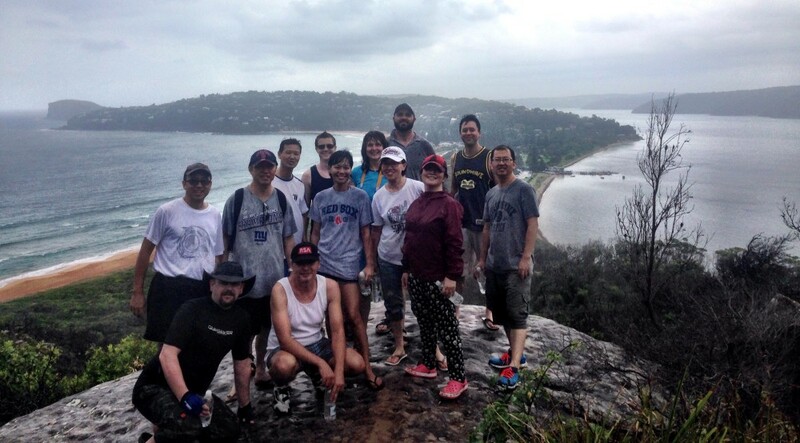 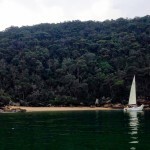 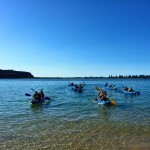 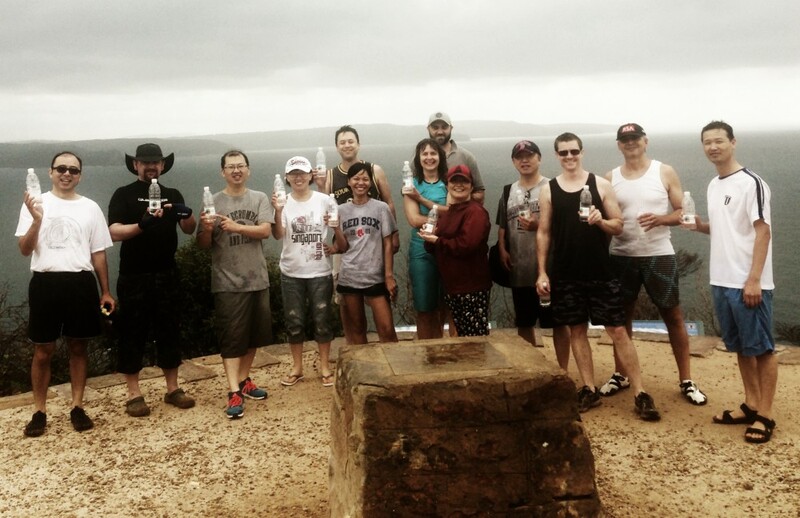 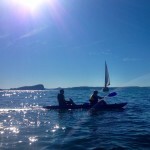 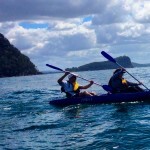 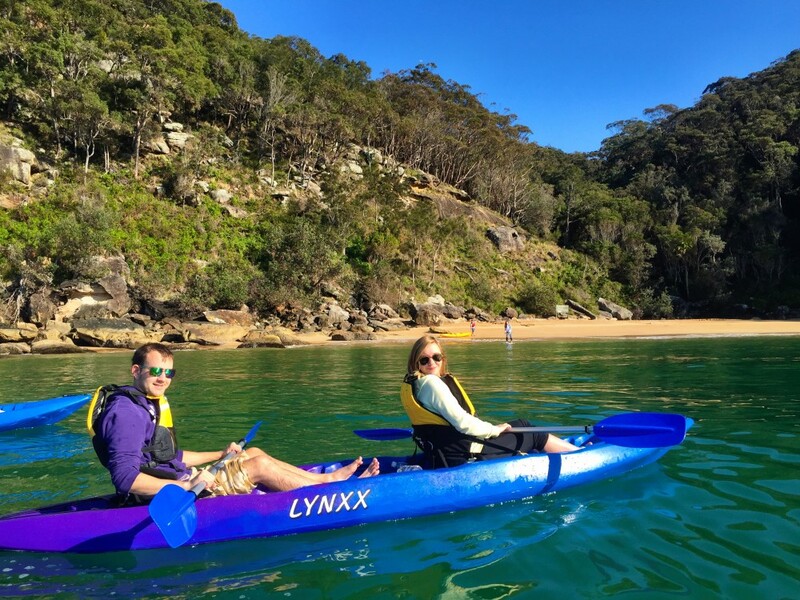 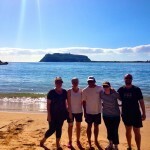 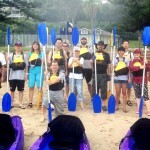 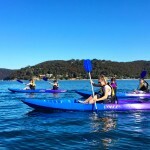 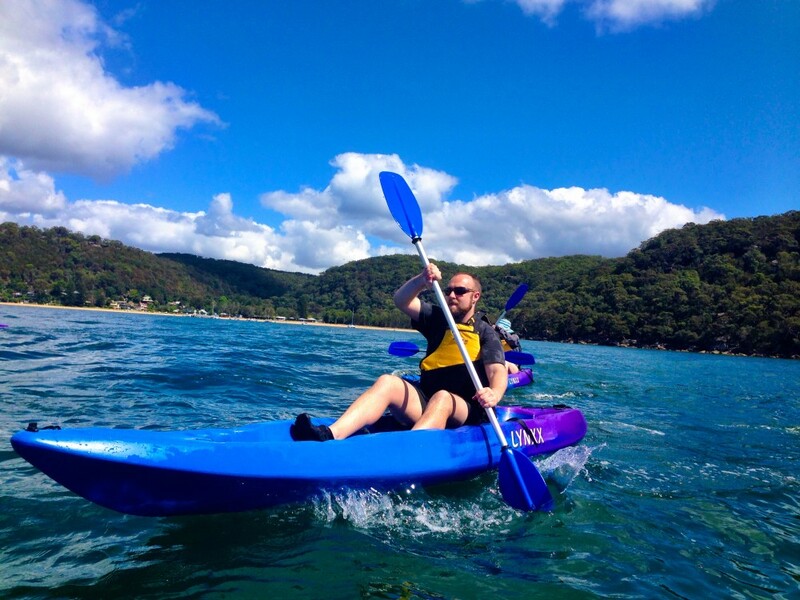 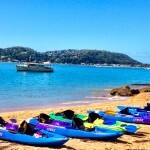 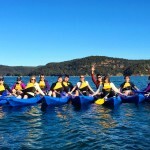 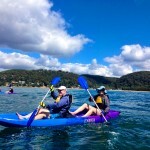 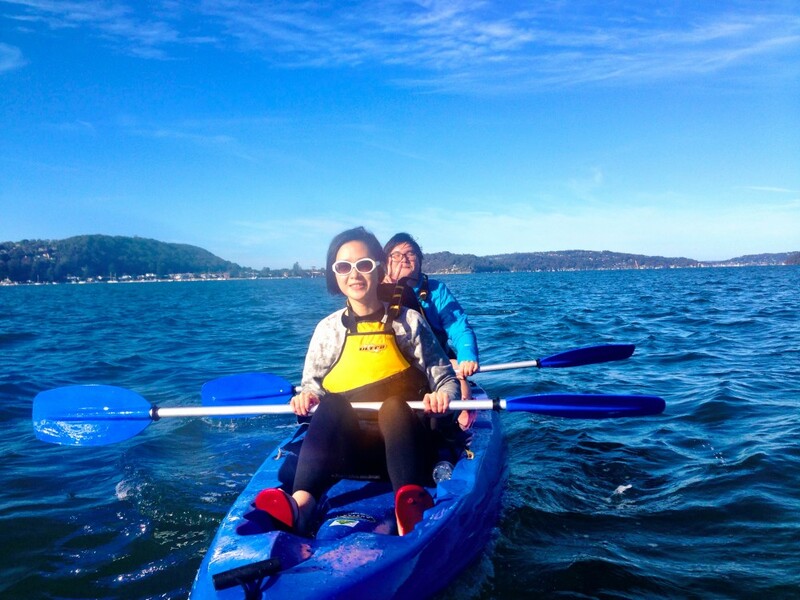 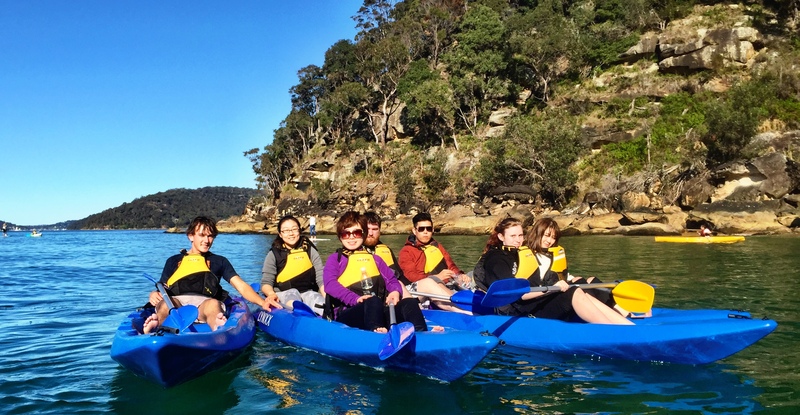 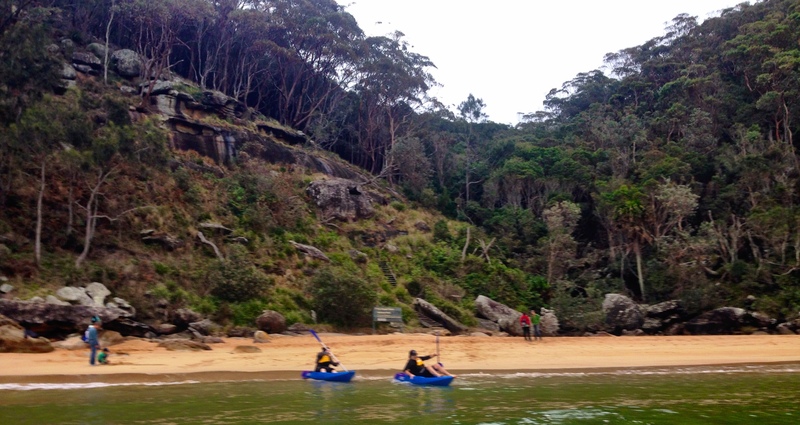 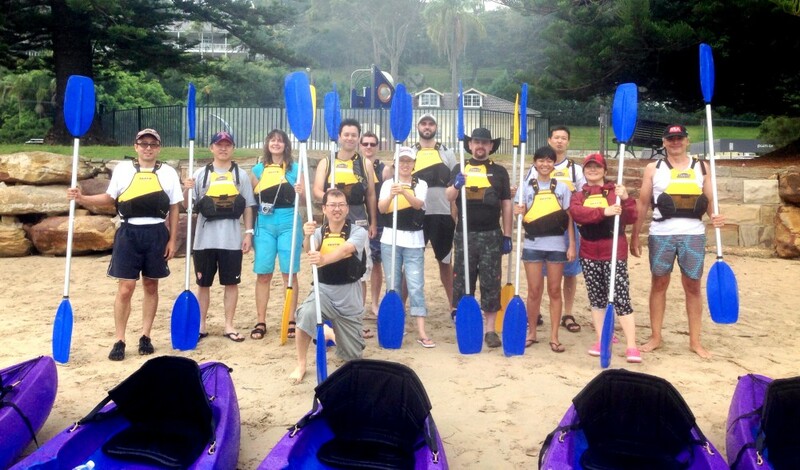 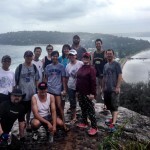 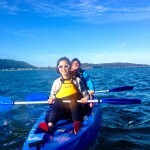 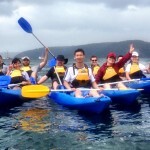 Paddling on Pittwater in single and double kayaks, bush walking in Ku-Ring-Gai National Park to West Head and swimming at Resolute Bay was enjoyed by everybody. 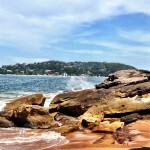 We were blessed with beautiful weather the whole week. 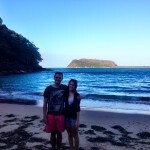 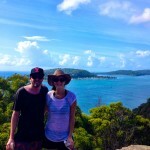 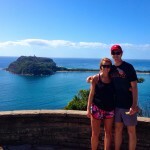 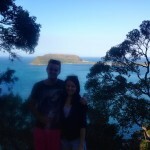 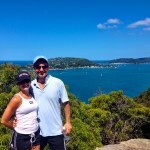 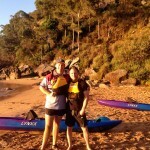 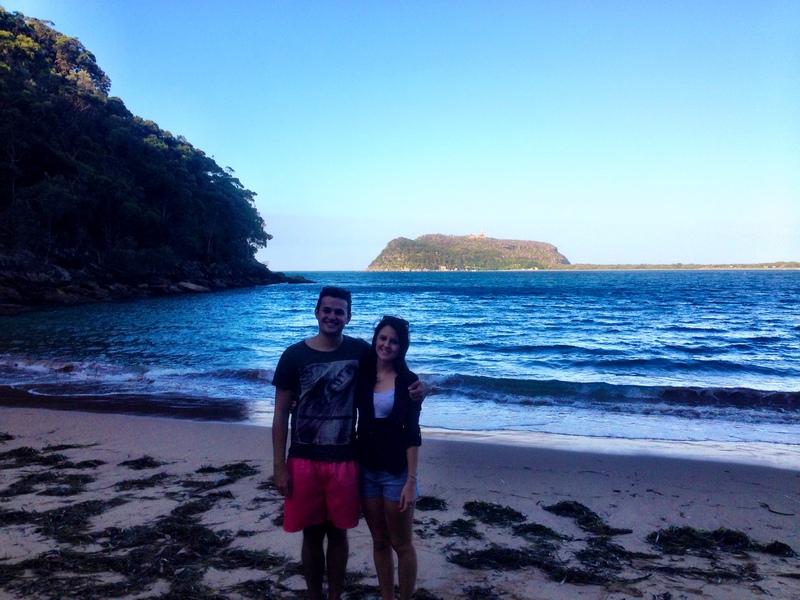 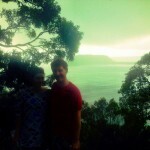 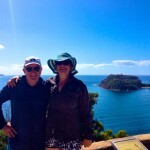 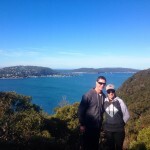 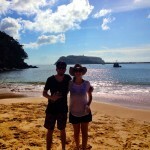 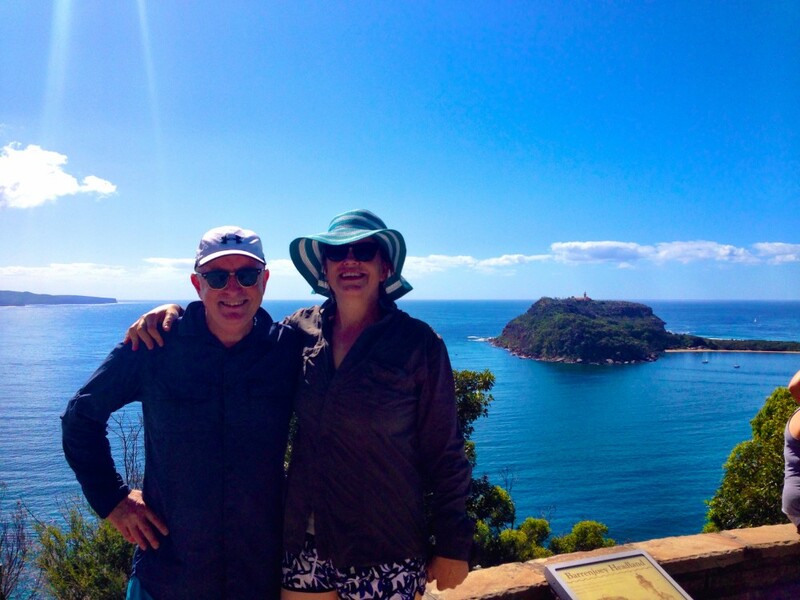 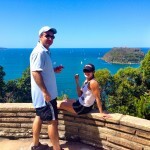 Mark and his lovely girlfriend came for a kayak with Pittwater Kayak Tours. 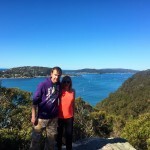 A couple of his friends wanted me to embarrass him and say “I heard you were going to pop the question today”. 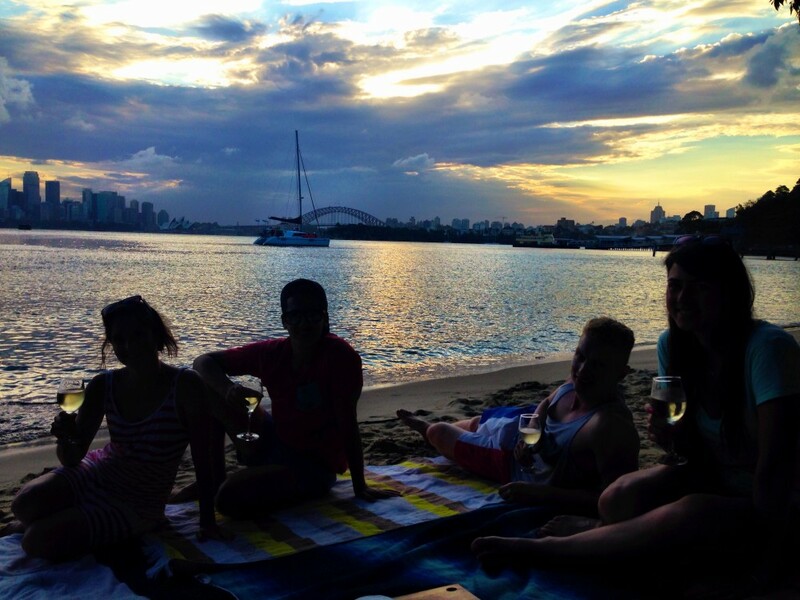 It was just a bit of banter between friends. 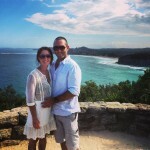 no one has got down on one knee just yet. 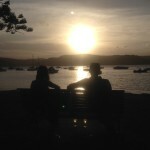 who will be the first? Still Beautiful on a Cold and Windy day. 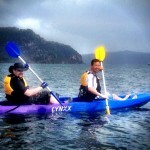 Despite bad weather, this lovely couple still managed to have a great time. 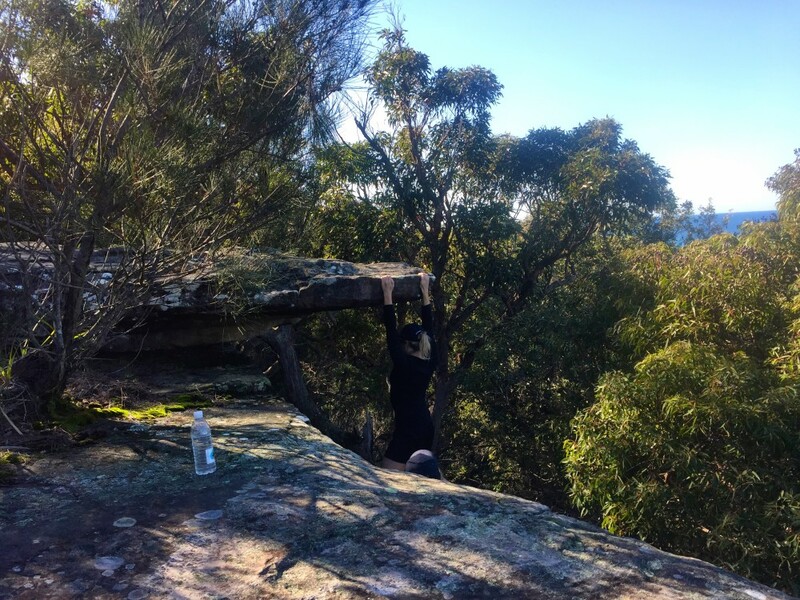 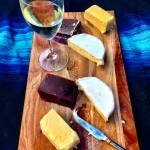 I left them with a bottle of wine, 2 glasses and some cheese under the shelter of a Norfolk Pine once we arrived back at Pittwater Park. 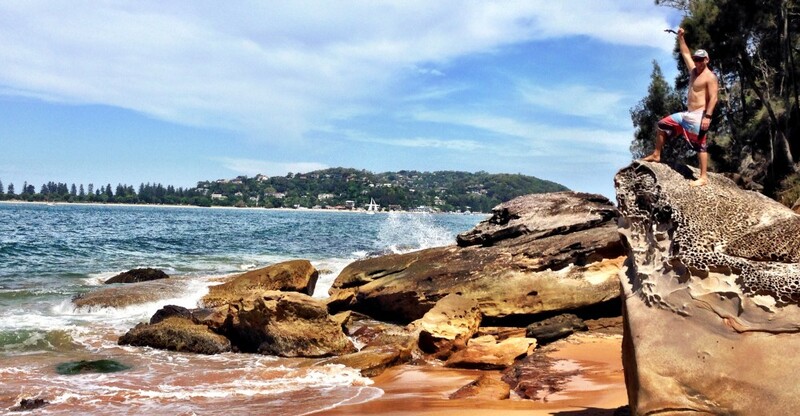 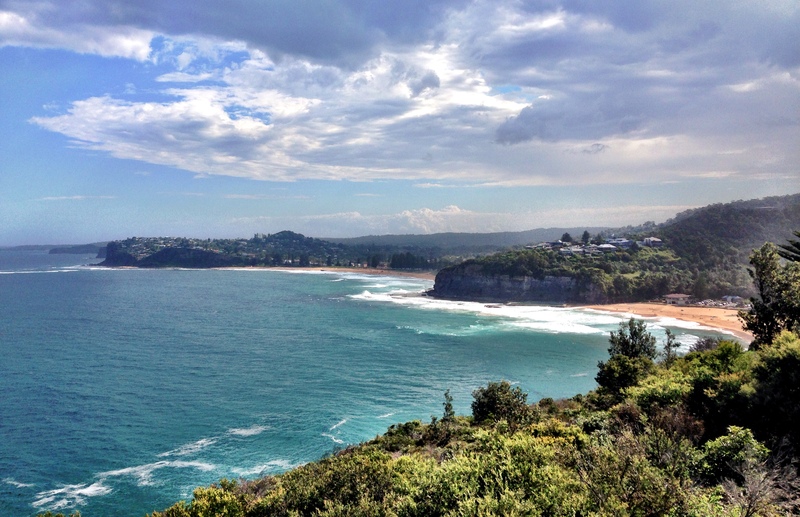 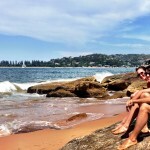 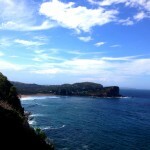 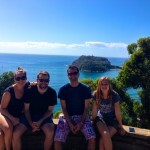 Just the drive up the Peninsular of Sydney’s Northern Beaches is a spectaclar tour in itself. 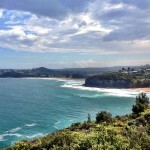 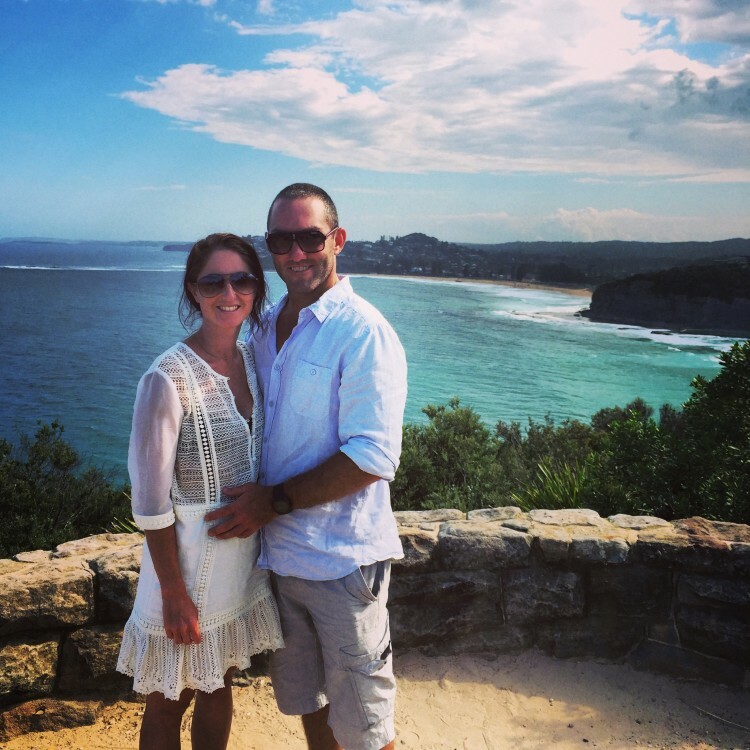 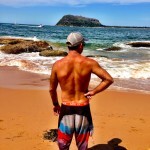 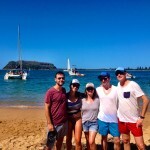 Stopping at some of the beautiful beaches along the way including Palm Beach, Whale Beach, Avalon, Bilgola, Mona Vale, Narrabeen, Collaroy, Curl Curl, Freshwater and Manly. 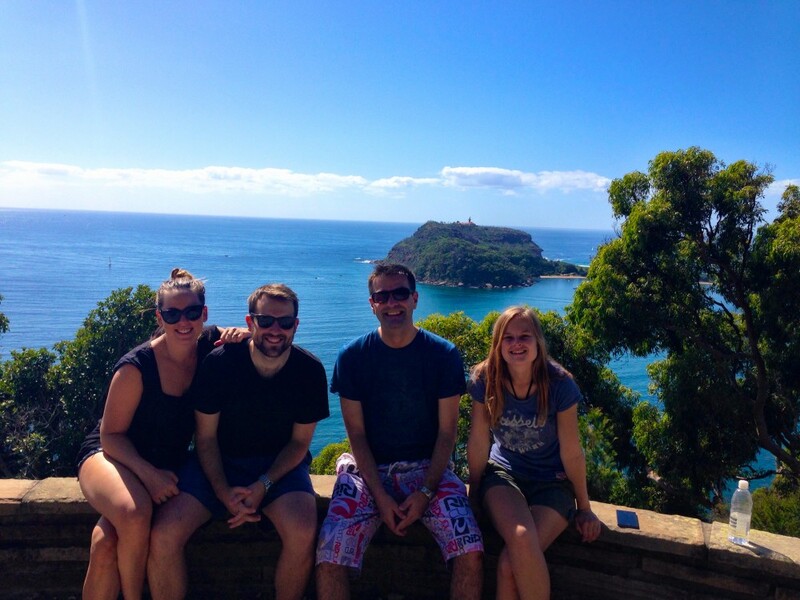 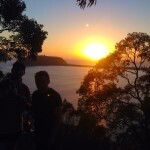 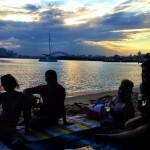 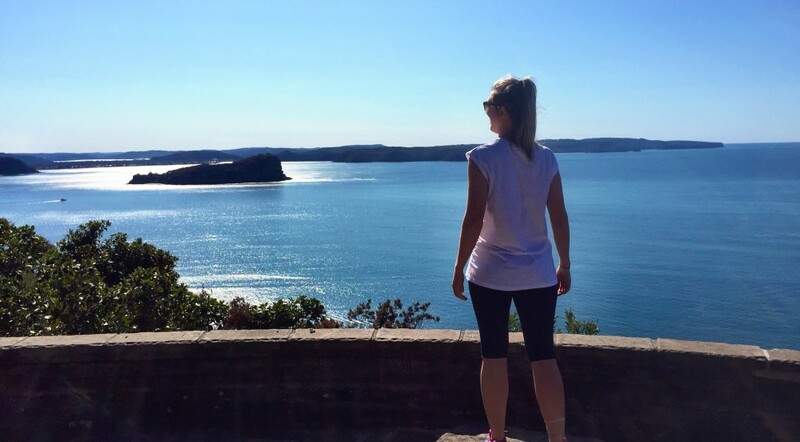 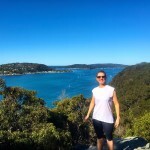 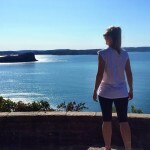 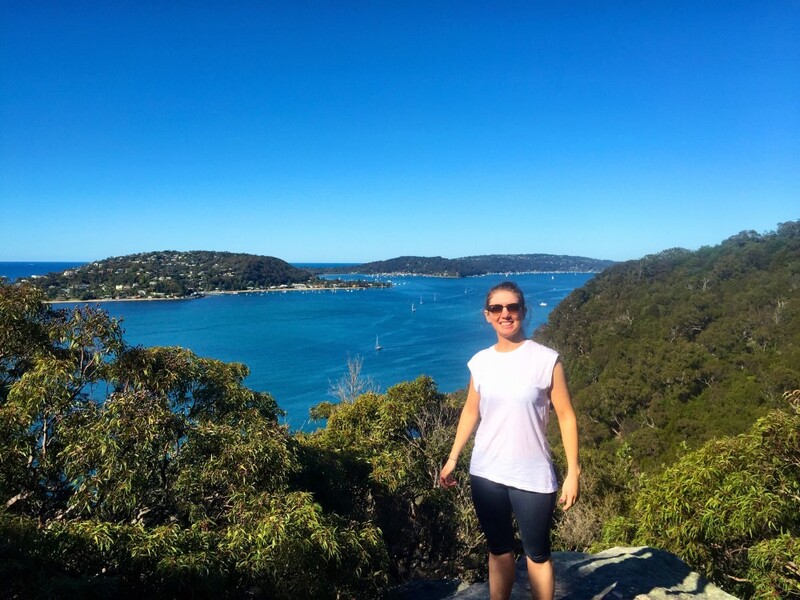 Throw in a kayak across Pittwater, bush walk in Ku-Ring-Gai National park, a swim at a beautiful beach and then sunset in Mosman watching the sunset over the Sydney Harbour Bridge and its close to a perfect day for a local, let alone a friend visiting from overseas. 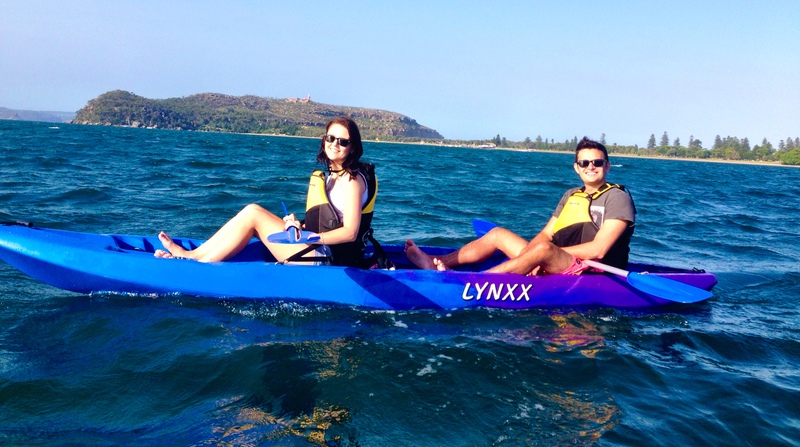 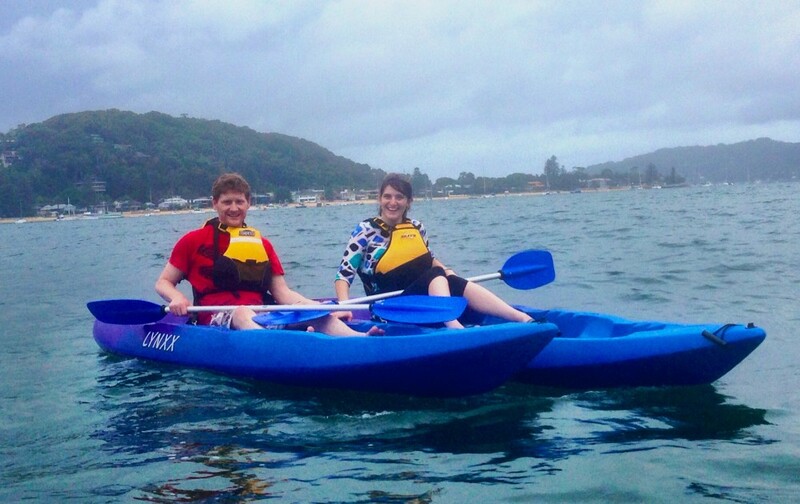 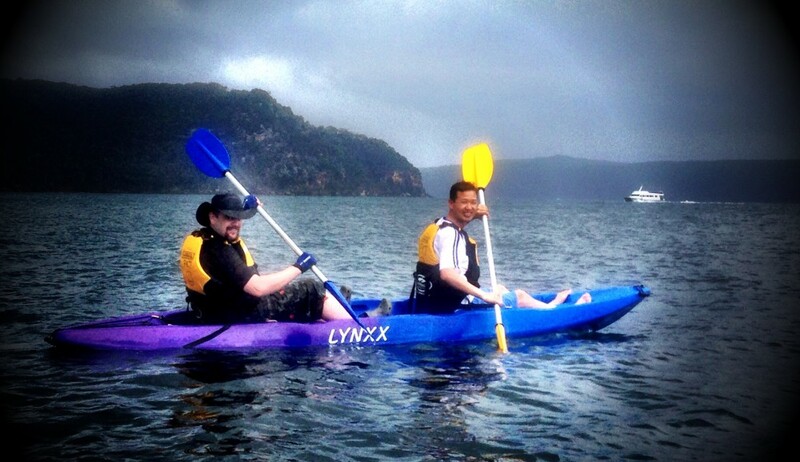 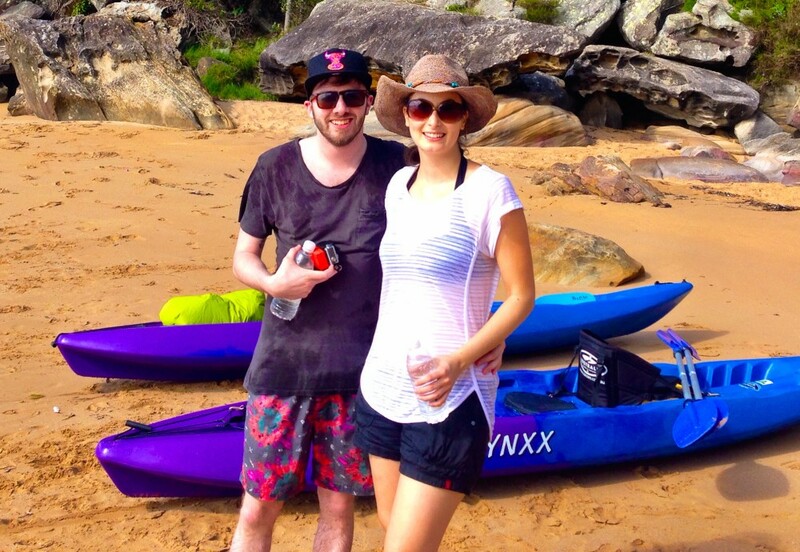 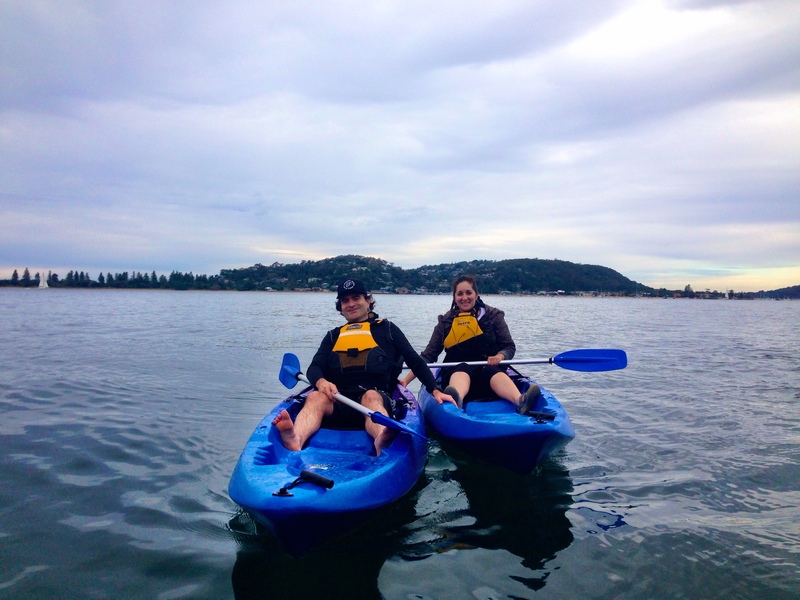 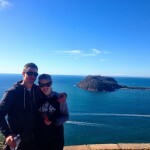 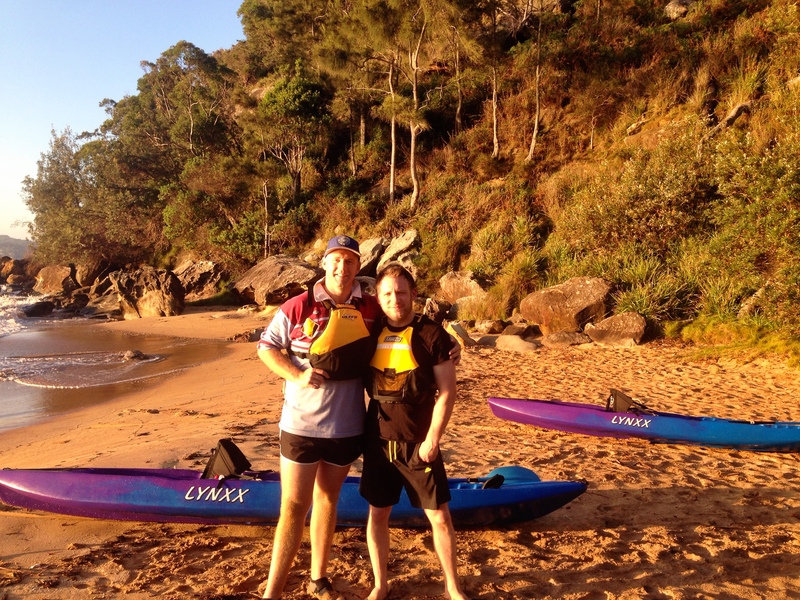 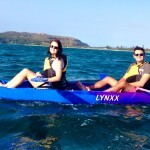 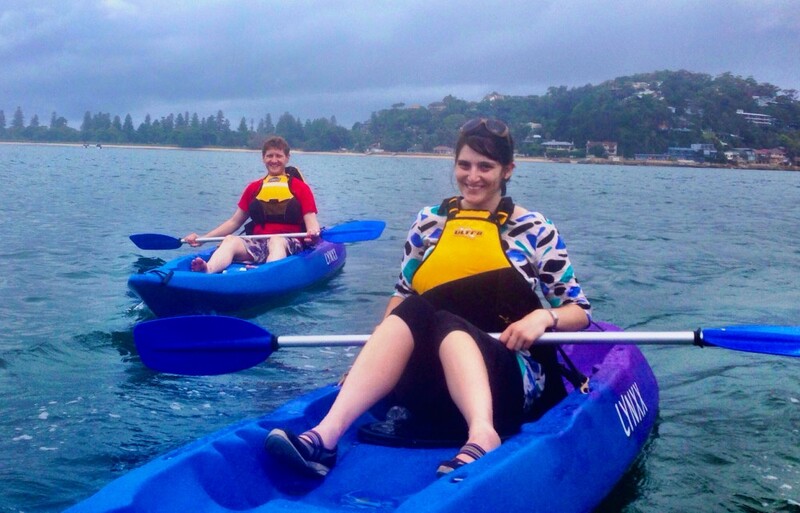 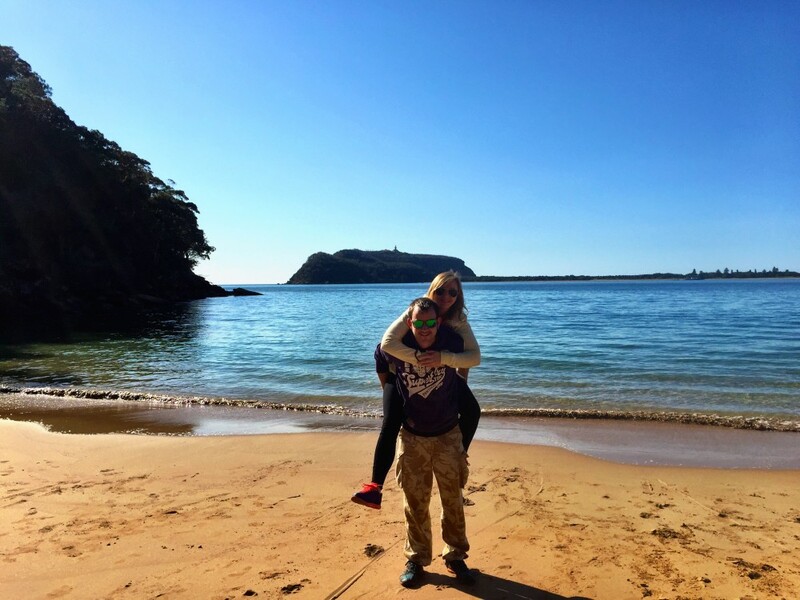 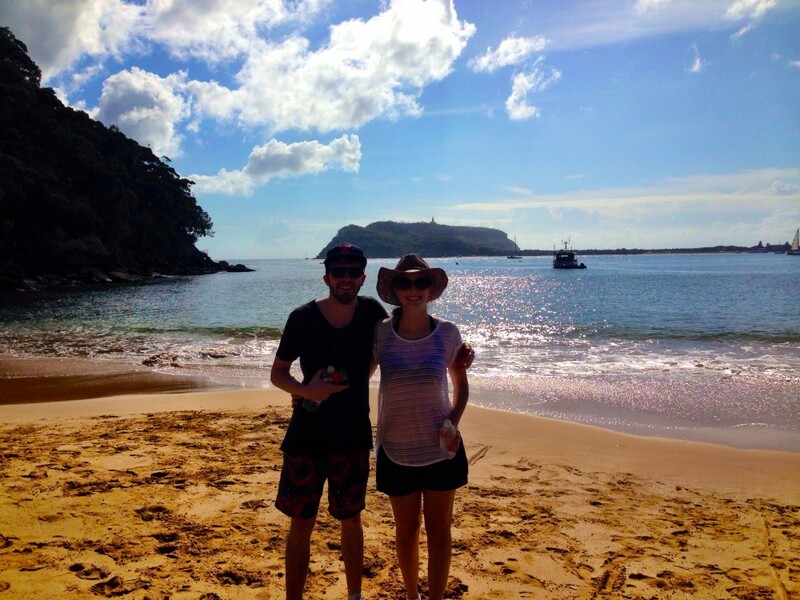 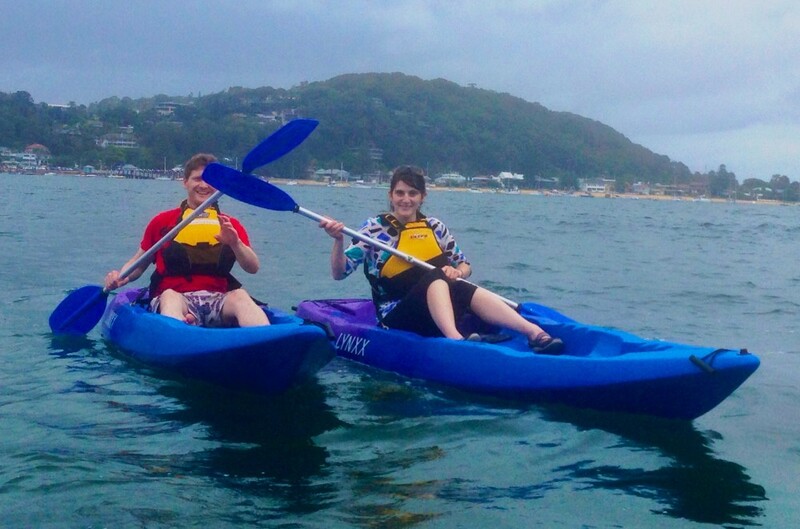 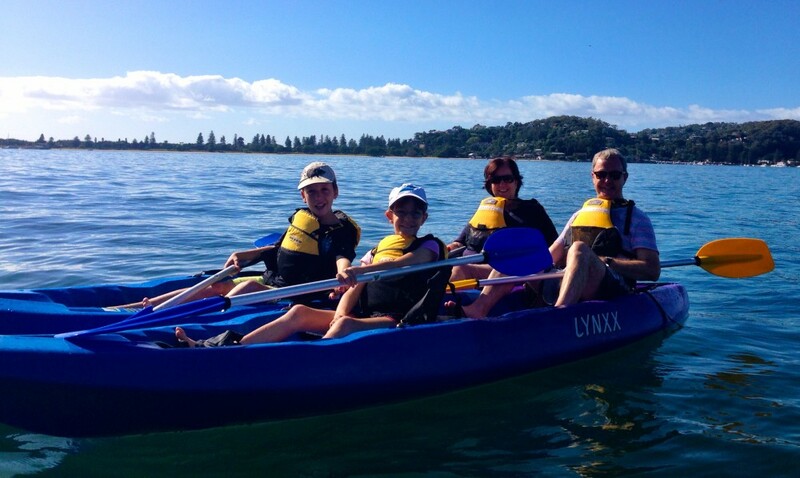 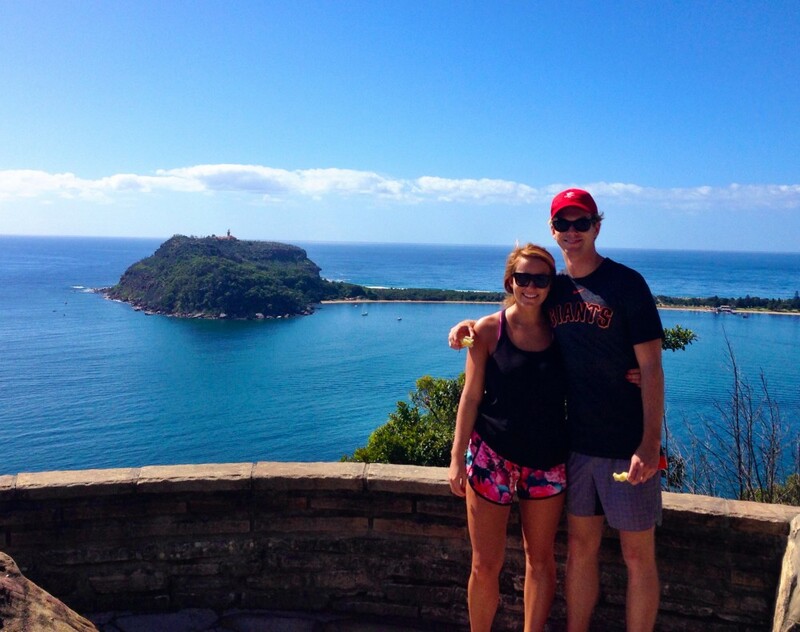 Jarrod and Stef came along for a romantic kayak together on Valentine’s Day. 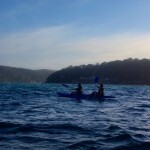 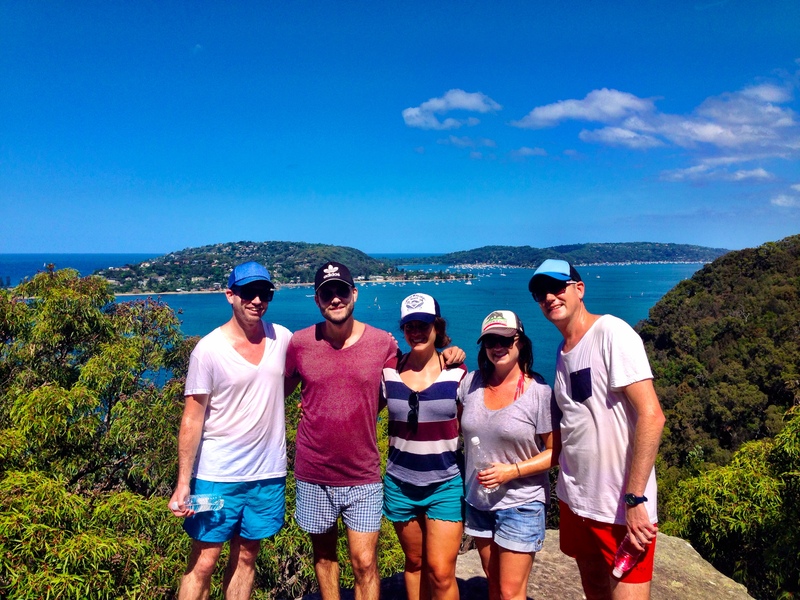 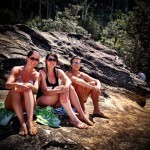 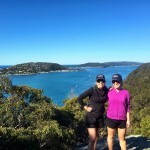 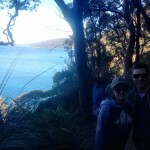 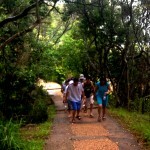 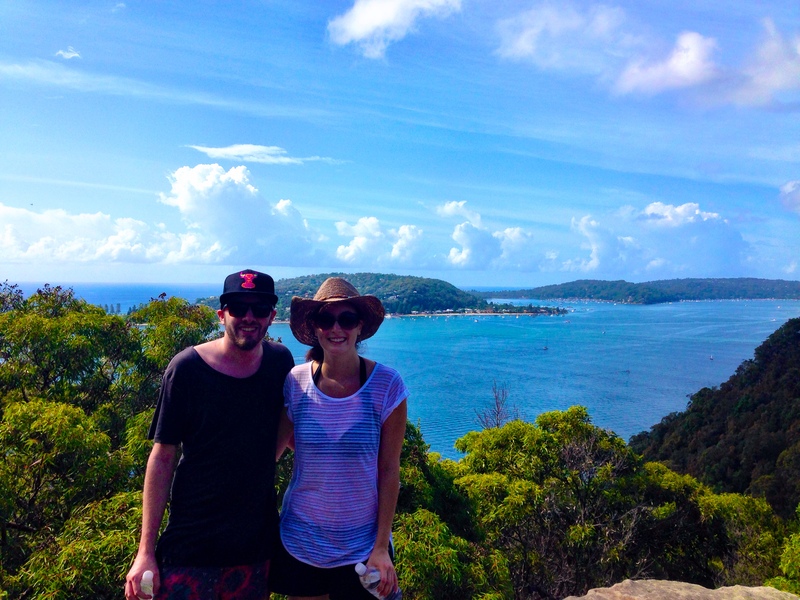 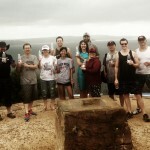 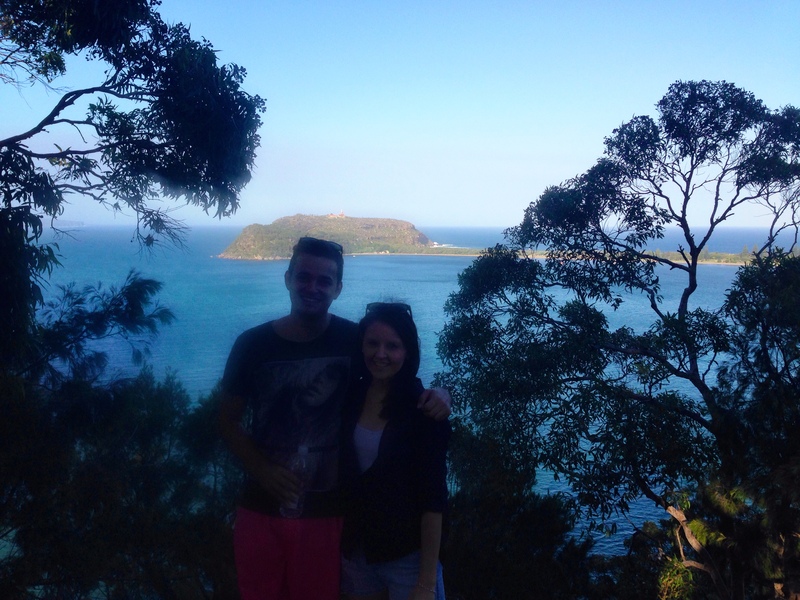 After bush walking in Ku-Ring-Gai National Park, swimming at Resolute Bay and then paddling back to Pittwater Park. 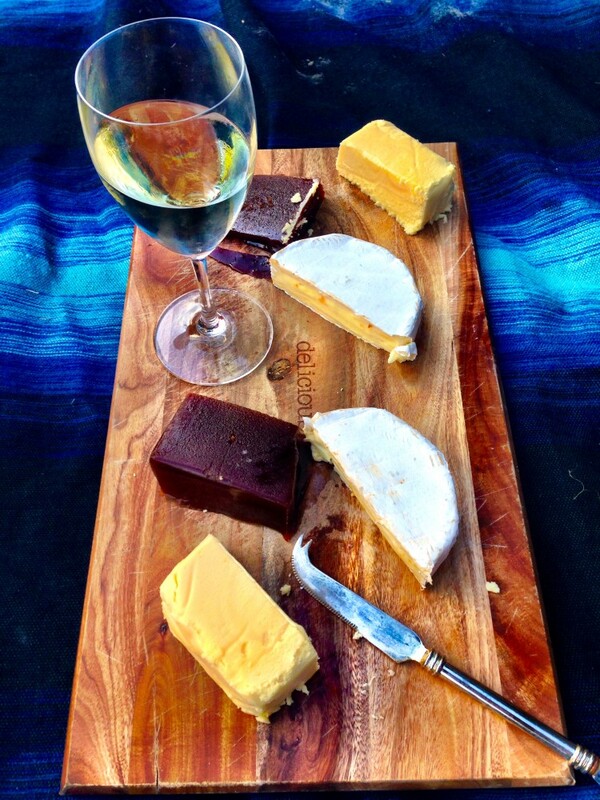 I left them with a bottle of wine and a cheese platter to enjoy. 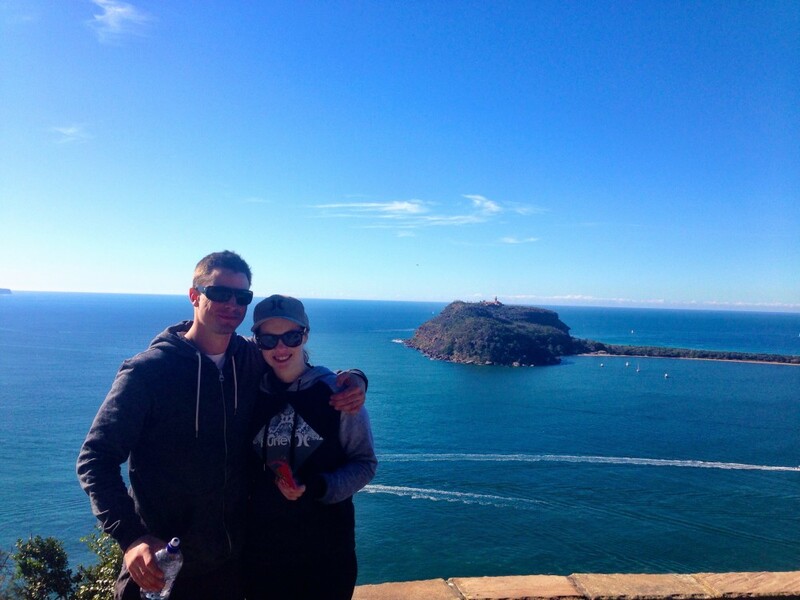 Nice work Jarrod, definitely earned you some brownie points with Stef. 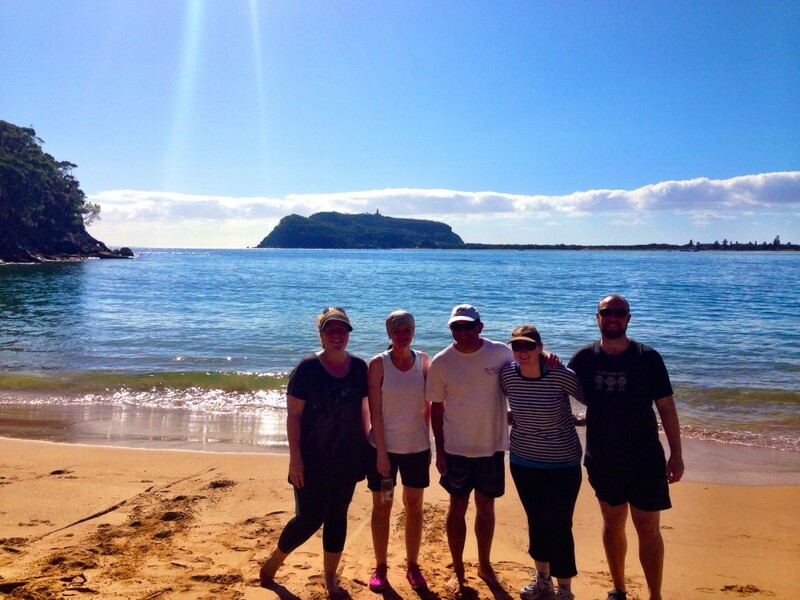 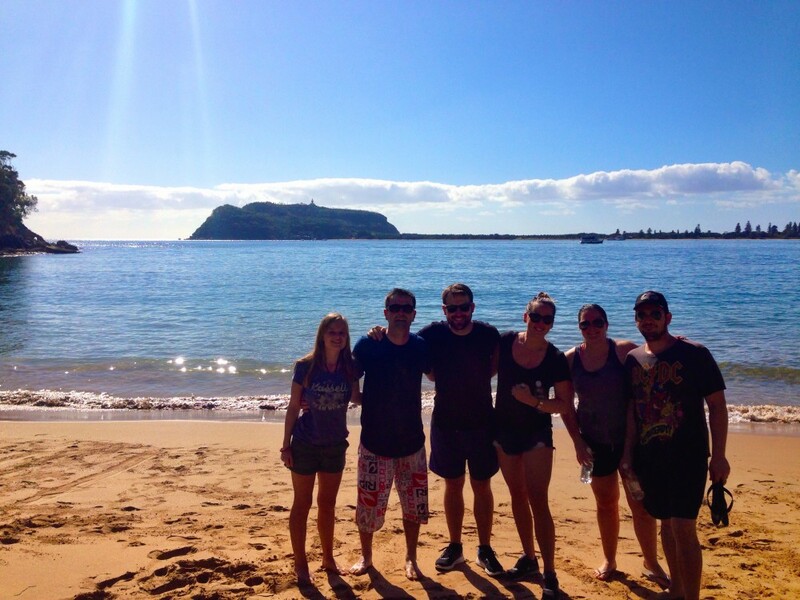 Elizabeth and her team from EMC came along for a team building session at the beginning of 2015 to help get her team working together and experience a fun day out together. 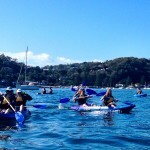 At the beginning of each year the EMC team has a corporate event. 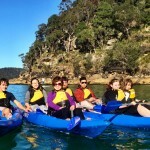 Despite the bad weather on the day, her staff enjoyed it thoroughly and said ” it was the best start to the year so far”. 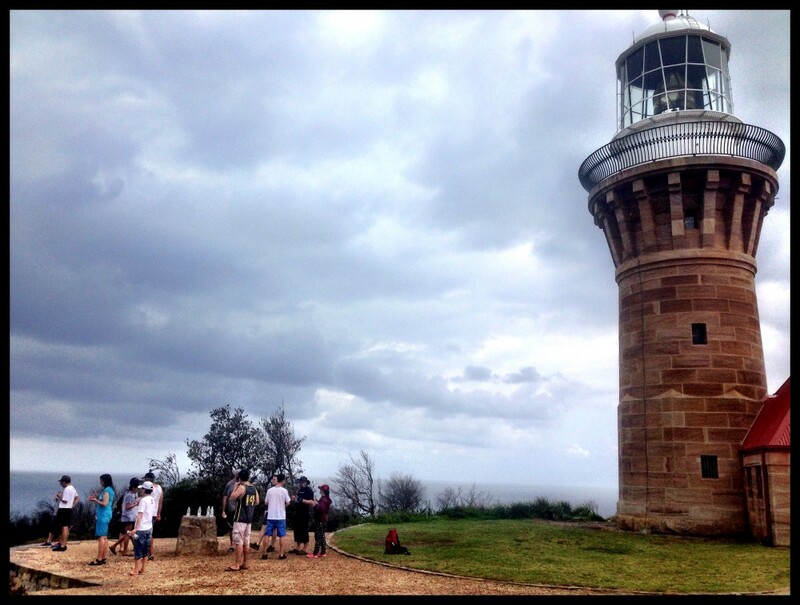 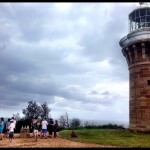 Due to the bad weather we were unable to cross Pittwater, so instead we kayaked to Barrenjoey Headland and walked up to the lighthouse. 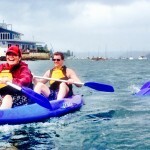 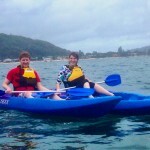 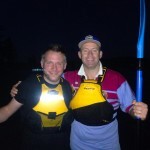 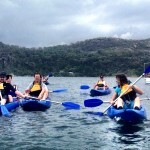 Many of the staff had no experience kayaking before and were apprehensive before leaving. 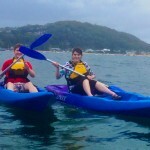 Once we were on the water they felt completely comfortable and had a great time.